Take your guitar to the loft. Sit in front of the camera and assure yourself that the loft with all it’s daily stuff and things looks like a place where people make their living. Plug your guitar directly in your computer, play a few short tunes, and always use a microphone (can be a cheap one)in combination with the pickup to give it an acoustic edge. I met Matt Otten about 15 years ago and when I was busy with my new website I asked him if he would like to make a promotion movie for my Elferink guitars website. When the recording was done I realized that the movie file was too large for my website. 10 years ago You Tube was an upcoming new service which was just what everybody needed to store music and movies. Being the first with using a new service, technology, style, or design is important for success. As important as the golden hands from Matt and maybe also the guitar he holds. 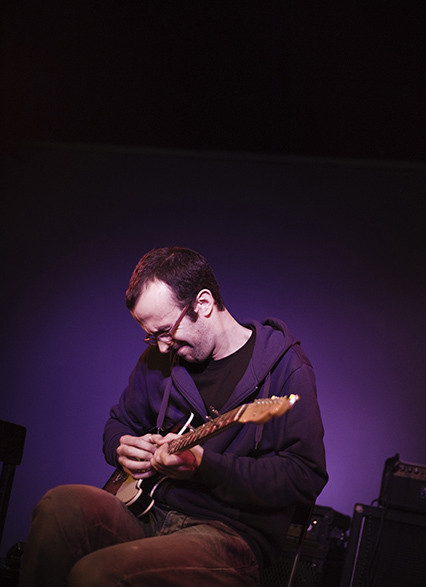 Jon Madof is a guitarist and composer based in New York. He leads the bands Zion80, Blivet and Rashanim. He performs around the US and Europe at venues and festivals including the Village Vanguard (NYC), Aperitivo in Concerto (Milan), Ashkenaz Festival (Toronto), Jewish Culture Festival (Krakow), Joe’s Pub (NYC), Saalfelden Jazzfestival (Austria), and Town Hall (NYC). 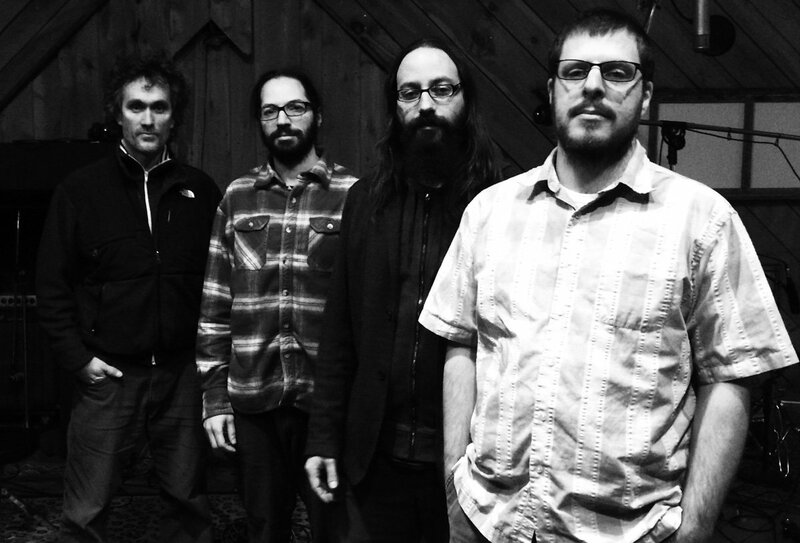 Jon has collaborated with musicians including John Zorn, Matisyahu, Marc Ribot and Frank London. 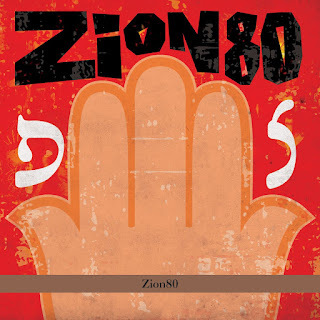 ZION80, called “A truly soulful experience” by the New York Times, Zion80 explores Jewish music – from Carlebach to Zorn and everything in between – through the lens of the Afrobeat funk master Fela Anikulapo Kuti. 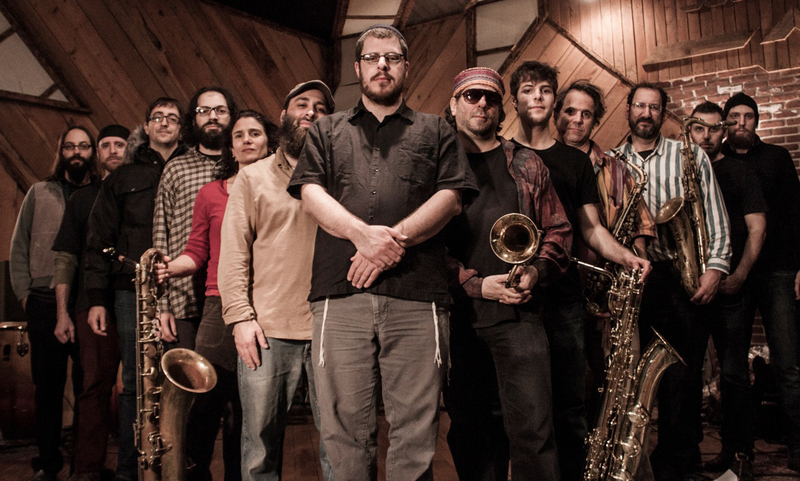 Led by Jon Madof, the 11-piece band arranges Jewish melodies using the polyrhythmic intensity of Afrobeat, blended with the madness of the Downtown scene. 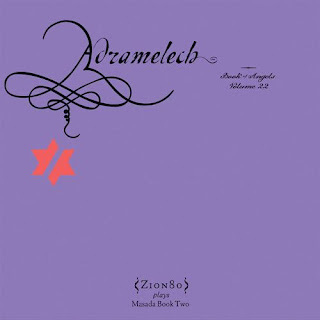 Zion80’s debut album was released in 2013 on John Zorn’s Tzadik Records, and in 2014 they released ‘Adramelech: Zion80 plays John Zorn’s Book of Angels vol. 22.’ Zion80 is Jon Madof (guitar), Frank London (trumpet), Greg Wall (tenor sax), Matt Darriau (alto sax), Jessica Lurie (bari sax, flute), Zach Mayer (bari sax), Yoshie Fruchter (guitar), Brian Marsella (keyboard), Shanir Blumenkranz (bass), Yuval Lion (drums) and Marlon Sobol (percussion). 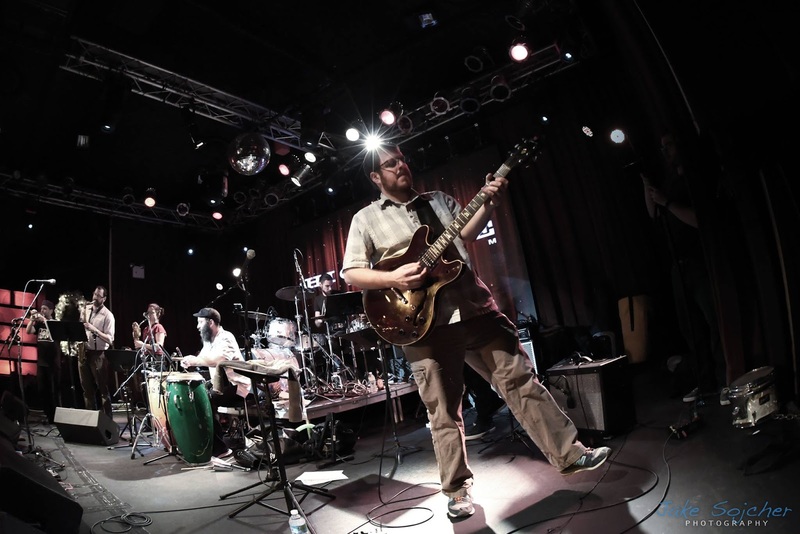 BLIVET is a guitar/organ/bass/drums quartet that plays a mix of rock and classic R&B and funk – The Meters, Booker T, Funkadelic – with a healthy dose of improvisational madness. The Blivet debut album was released in 2015 after a successful Kickstarter campaign. Blivet is Jon Madof (guitar), Brian Marsella (organ), Shanir Blumenkranz (bass) and Mathias Künzli (drums). 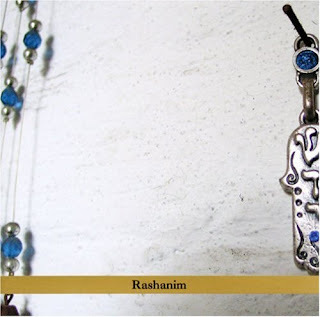 RASHANIM is a trio of guitar, bass and drums/percussion combining the power of rock with the spontaneity of improvisation, deep Middle Eastern grooves, and mystical Jewish melodies. 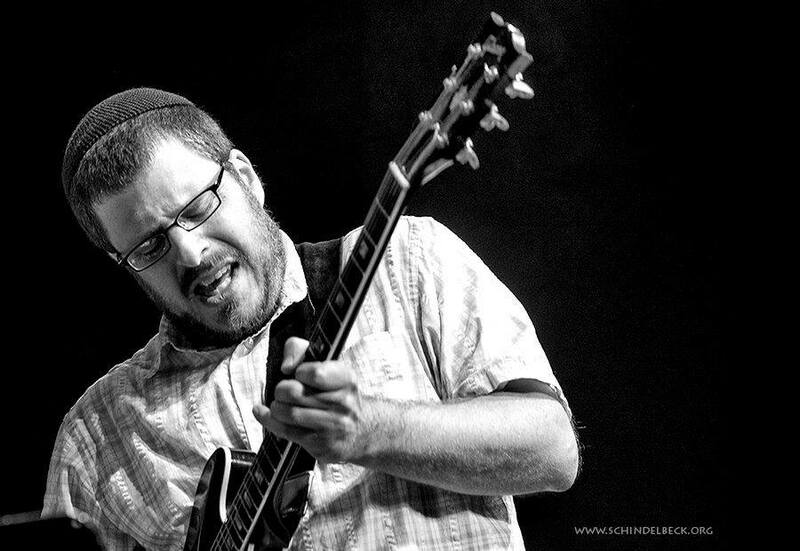 The ‘Jewish power trio’ is led by Jon Madof on guitar and includes Shanir Ezra Blumenkranz (Yo-Yo Ma, Anthony Braxton) on bass and Mathias Künzli (Lauryn Hill) on drums and percussion. The band gets its name from the noisemakers used during the raucous Jewish holiday of Purim. Rashanim have released four albums on John Zorn’s Tzadik Records, and appear on several Tzadik compilations. Pink Floyd ‘Dark Side of the Moon’ on cassette. My practice routine is not as regular as I’d like it to be. But with three kids (ages 6, 8 and 10), that’s to be expected. I’ve had periods in my life of intense practice, and I hope to be able to get back to it one day! I think the purpose of technique is to serve as a facilitator of an artist’s expression. Since everyone’s expression is different, everyone’s technique should be different. It’s subjective. 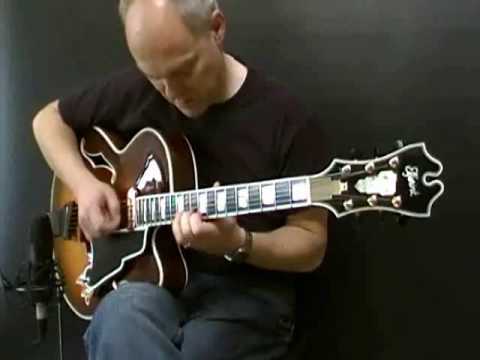 So for someone to say something like ‘Thelonius Monk didn’t have good technique’ or ‘Neil Young isn’t a technically good guitar player’ is nonsense. They both have impeccable technique. Music for me is like food - a necessity. When I don’t listen to music for a while I feel a hunger for it and I can’t think or function well. As Albert Ayler said, 'music is the healing force of the universe.’ That’s exactly what it is. Tell me one impossible project do you like to realize? I have lots of ideas always swirling around for new projects, compositions, etc. 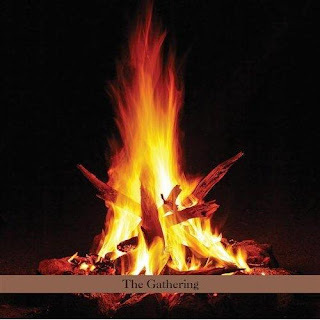 One of them is a long-form metal project with a lot of drums, through-composed with little or no improvisation. I’ll get to it one day! 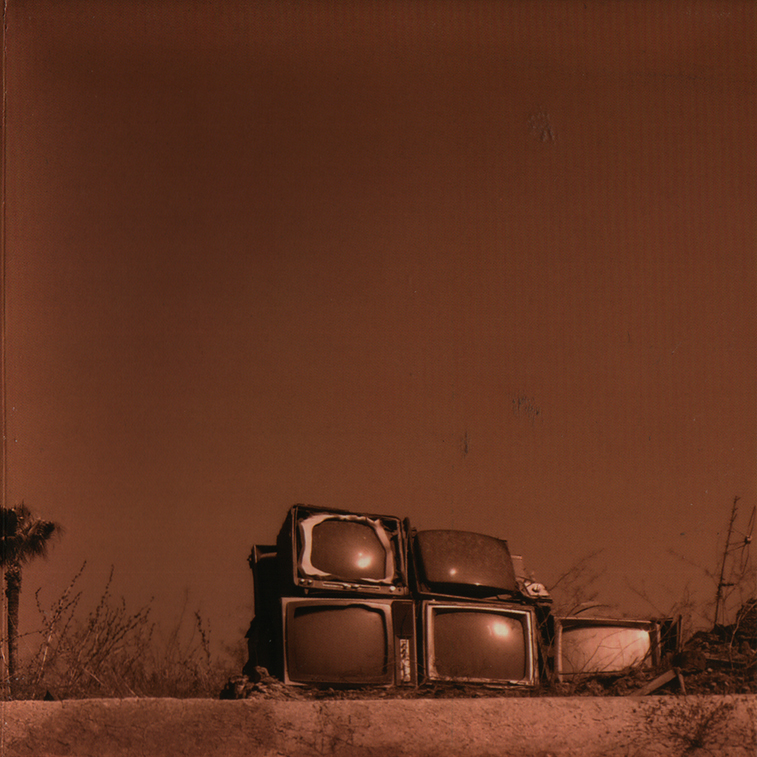 It’s easy (and in some cases justified) to focus on the negative aspects of digital music. Streaming has drastically cut revenue for artists and labels, and the quality of the music doesn’t compare to listening to a CD or vinyl. But digital music has also eliminated the need for an artist to go through a label or traditional distribution channels to get music out to their audience. Plus, the advances in technology also allow us to record music for a fraction of what it cost in the past. I try to focus on the positive aspects of digital music while still maintaining as much quality and artistic control as I can. Depict the sound you're still looking for, or the sound you'd like to hear. For the past several years, I’ve been obsessed with various aspects of groove, time, pocket, etc. I tend to now listen to music from the ‘bottom up’ - drums, bass, then everything else. So I’m looking for new ways to explore rhythm in music. It’s the heartbeat of the whole thing. My parents are both avid music fans. My mom loves orchestral music, chamber music and opera. And my dad is a huge fan of ‘oldies’ music from the 1950s and 1960s. And they’re both fans of folk music like Phil Ochs, Woody Guthrie, Pete Seeger, etc. So I grew up with a lot of music in the house. Plus, my father plays the guitar so that was always around. I absorbed it by osmosis before I ever thought about it! It’s hard to tell what actually provokes change in someone’s work. 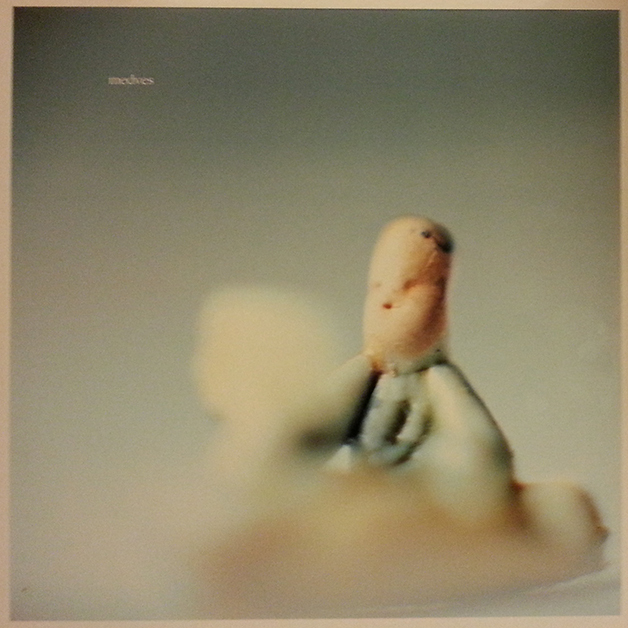 But I do get very deep into certain albums, listening to them over and over again in a short period of time before I move on to other things. Lately I’ve been listening to a ton of dub music. Other recent obsessions include ‘Junun’ by Shye Ben Tzur, ‘Shields’ by Grizzly Bear, ‘Black One’ by Sunn O))) and ‘Gnostic Preludes’ by John Zorn. 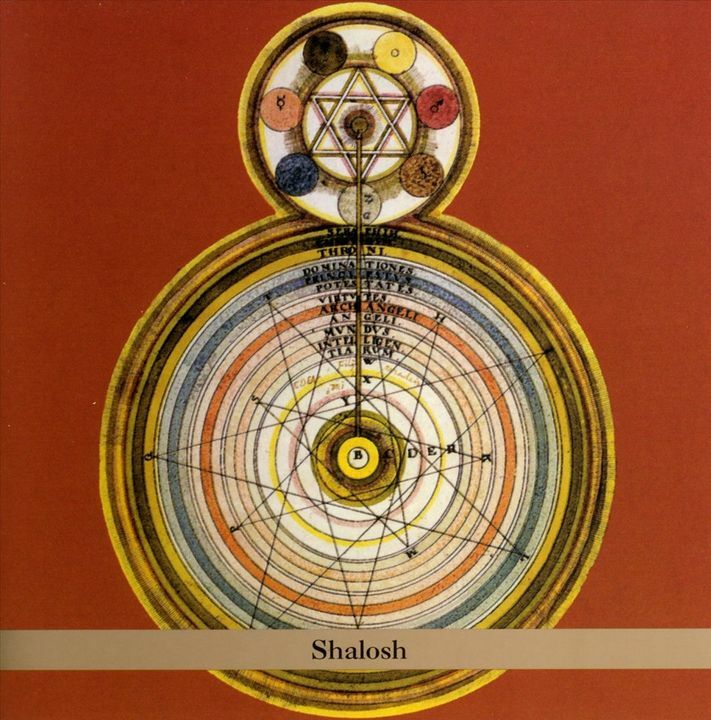 I’m an observant (Orthodox) Jew and I get a tremendous amount of sustenance and grounding from my tradition. It’s hard to say exactly how that influence works, but one thing I really love is coming back to listening and playing music after the Sabbath (observant Jews don’t use electronic devices or play instruments on the Sabbath, which lasts from Friday night to Saturday night). It’s like hitting the reset button every week. I studied for about a year with the amazing musician Kenny Werner. It’s very hard to express how important he was in my musical development. 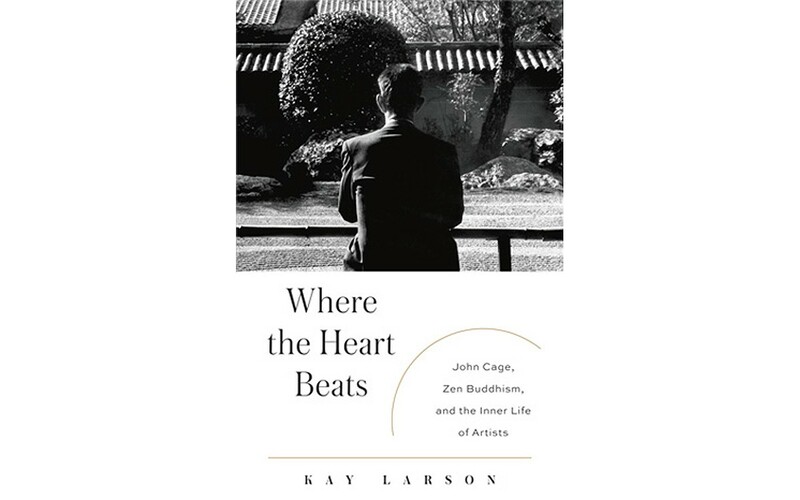 He focuses on ‘the inner game of music,’ for lack of a better term. He explores all of the things that get in the way of reaching our potential as artists - hangups, anxieties, fears, etc. and has a very systematic way of dealing with them and allowing your ‘true voice’ to emerge. If anyone isn’t familiar with him I highly recommend checking out his book ‘Effortless Mastery.’ You WILL NOT regret reading it! I have a new quartet called Blivet (with Brian Marsella on organ, Shanir Blumenkranz on bass and Mathias Künzli on drums). The music I’ve written for that group really takes me back to being a teenager and discovering classic rock, funk, punk, etc. After working on something much more involved like my 11-piece Jewish/Afrobeat/Improv band Zion80, it’s really refreshing to play music that’s structurally much simpler but just as grooving and satisfying. And just as loud. 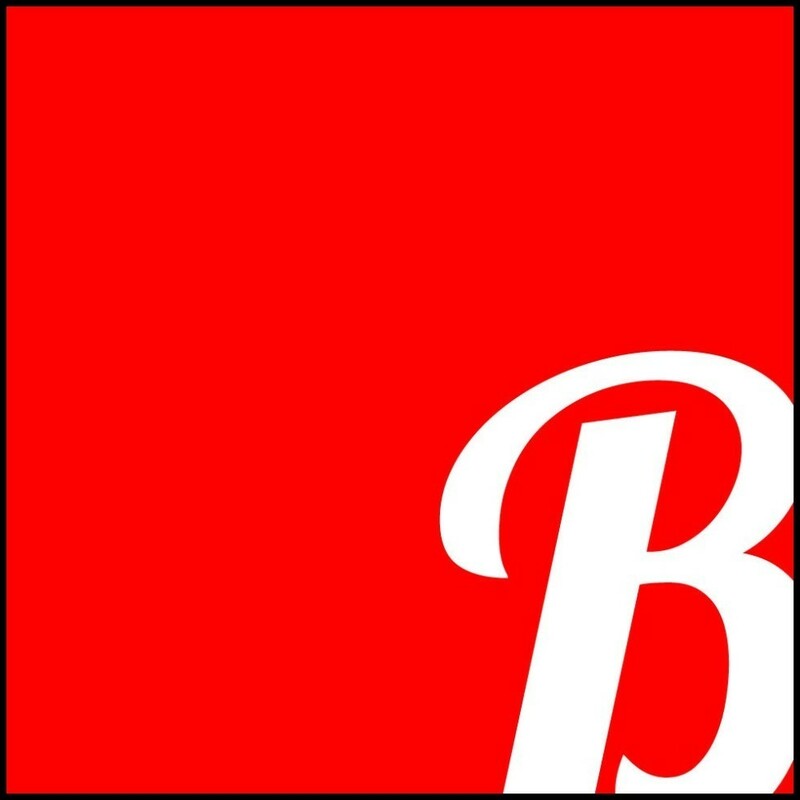 I’ve been writing new music for Blivet, and I’m planning to do another album with that group soon. 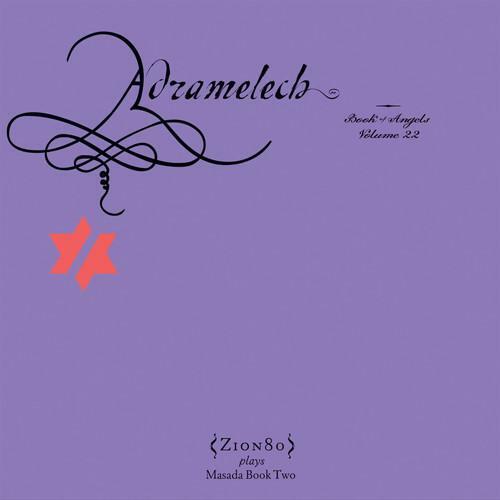 I’m also working on new music with Zion80 for Tzadik Records, both arrangements of John Zorn’s music and my original songs. I’m also starting to think about a solo record, using a lot of layering and looping. In November 2016 I’ll be doing a week-long residency at The Stone, John Zorn’s performance venue in New York City. I’ve done similar residencies a few times before, and it’s always an incredible opportunity to get a lot of music together and present it to an audience. 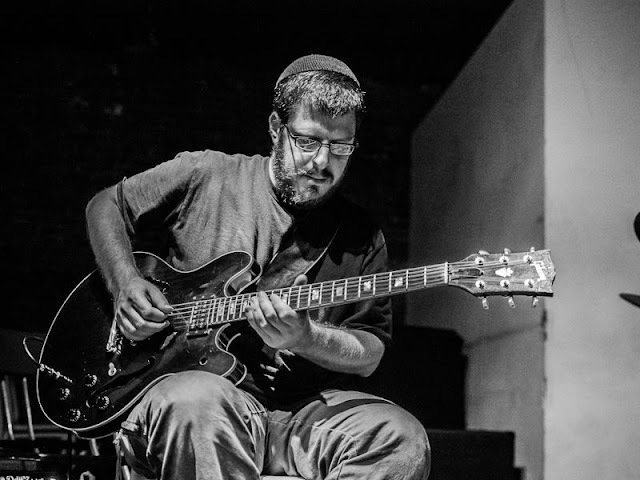 I’ll be playing with Zion80 and Blivet, along with improv sets and other music with great musicians including Yonadav Halevy, Mick Rossi, Ty Citerman, Eden Pearlstein and others. Zion80, Soulfarm Festival 2015 at Highline Ballroom. 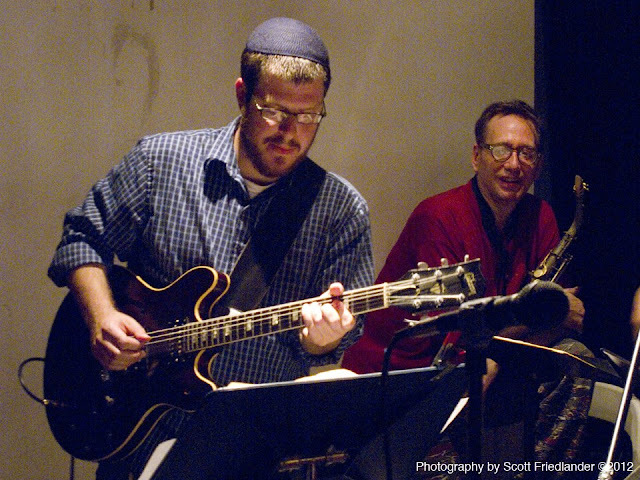 Photo by Jake Sojcher — with Frank London, Greg Wall, Jessica Lurie, Marlon Sobol, Kenny Grohowski and Yoshie Fruchter. 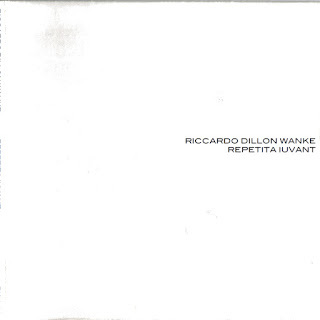 Riccardo Dillon Wanke (b. Genova, Italy 1977) established in Milan from 1982 until 2005, lives and works in Lisbon. multi-instrumentalist and composer. 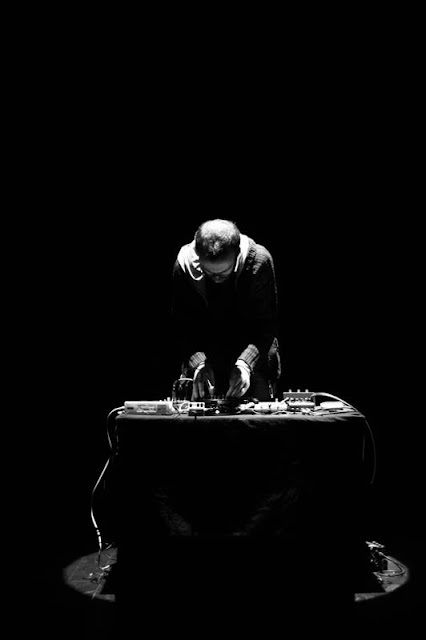 From 1995 active in arts (music, installations), his interest includes classical, improvised and exploratory music and it is focused on the diffusion of contemporary art. He runs the Mazagran label. 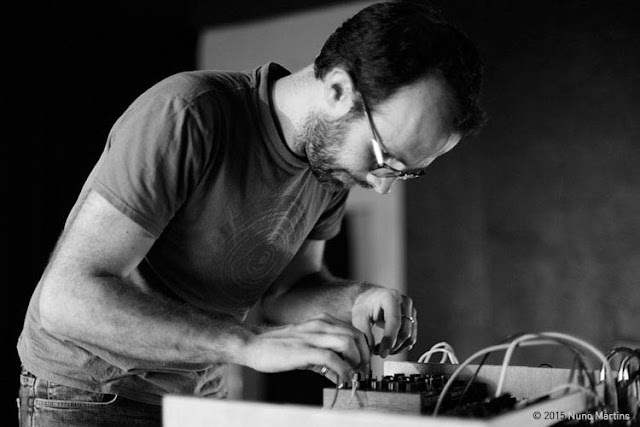 He is particularly interested in digital and analog manipulation of sound and its use into musical compositions. 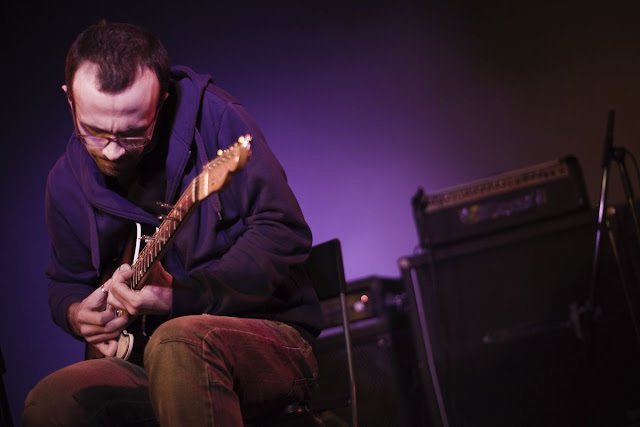 His work with guitars, keyboards (piano and rhodes) and electronics has started from pure radical improvisation and has drawn to the investigation of drones sounds, static music. Recently he explores sonic interactions, binaural beats and extreme microtonality. 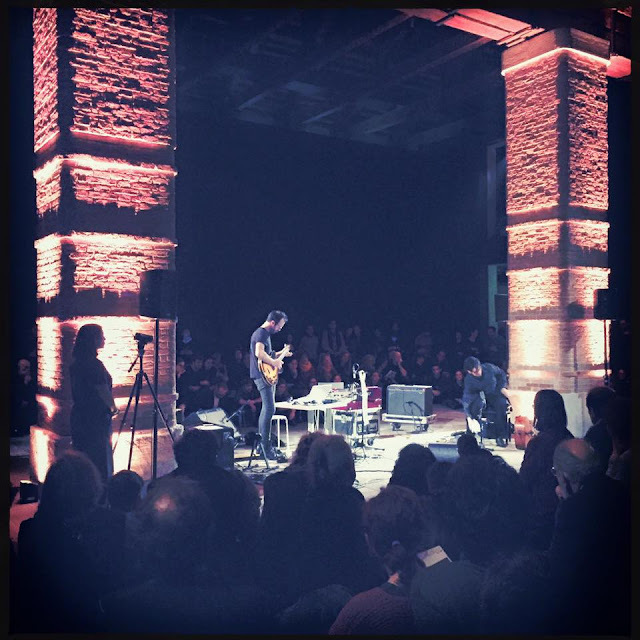 He collaborates with musicians such as Giuseppe Ielasi, Rafael Toral, David Maranha, Manuel Mota among others. He set up a trio with Maranha and Mota, "Dru", and regularly collaborates with italian classical cellist Francesco Dillon with whom he co-founded 'Amuleto' collective. 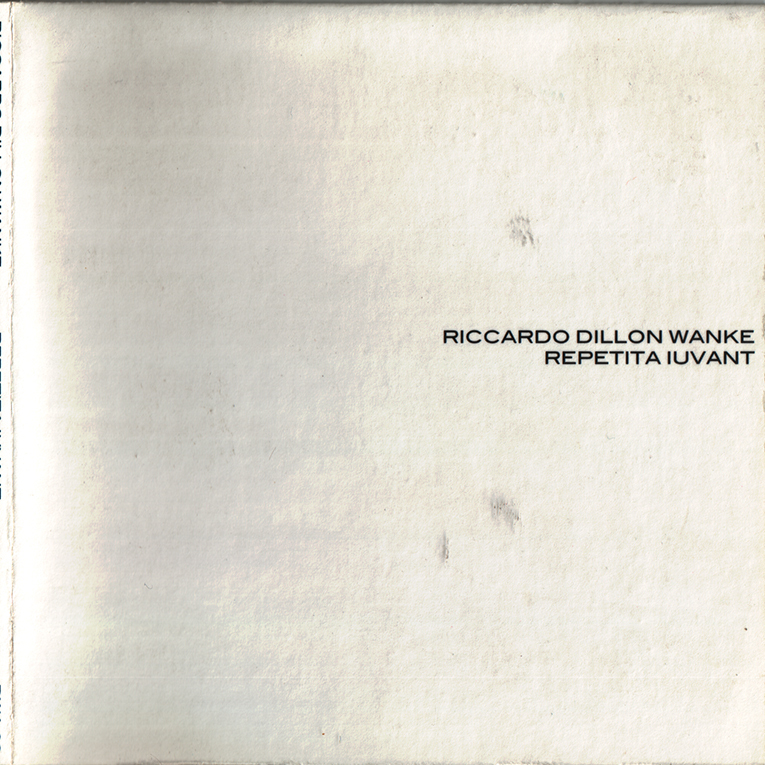 He published music for international labels such as Sedimental, Glistening Examples (USA), DieSchachtel (IT), Three:Four (CH), Headlights (PT), Apice (MX) among others. 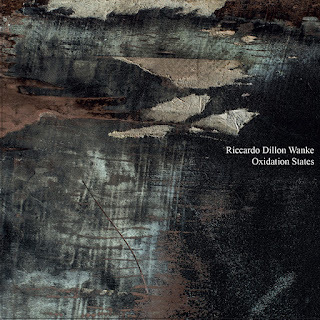 Riccardo studied Chemistry, Piano, Sax, Music Harmony, Improvisation and worked as Musical Label Editor, Chemist and Musician and he’s currently investigating contemporary experimental music at Centre of aesthetic and sociological musical studies at the University “Nova” of Lisbon. Amuleto — with Riccardo D. Wanke and Francesco Dillon in Venice, Italy. What do you remember about your first approach to sound? What do you recall about your playing learning process? I could not really locate the exact point in which I had my first experience to sound. I would probably prefer to refer to the first experience of a volunteer listening experience. Even in this case I would differentiate to listen and to play sound... for instance, I remember when I listened for the first time my favourite records through a very good sound system (Hi-Fi)...it was quite astonishing! About the classical learning process, I remember clearly the special moment of the learning practice when I was able to stop worrying about the notes. During the rehearsal there is sort of step of “appropriation” of the piece: everything moves to another level of appreciation (practicing, performing, listening and enjoying the piece…). Today, my learning process is more related to unravel sounds, their combinations and interactions. The first record was a cassette of Piano Concert n.5 ("Emperor") of Beethoven, played by Horowitz. I had a classical music education: piano theory, harmony...and so on...thus my first passion was classical music! Surprised? Well, I usually arrive to complete a musical work after sometime. I mean, I usually reach the point step by step, so I could not exactly talk about surprise! I am not an improviser... What is surprising, it is every discovery in sonic possibilities and sound interactions during the creation of a work. On the other hand, I can say that my collaboration with the Italian cellist Francesco Dillon, in the duo-project Amuleto, it is surprising to me. 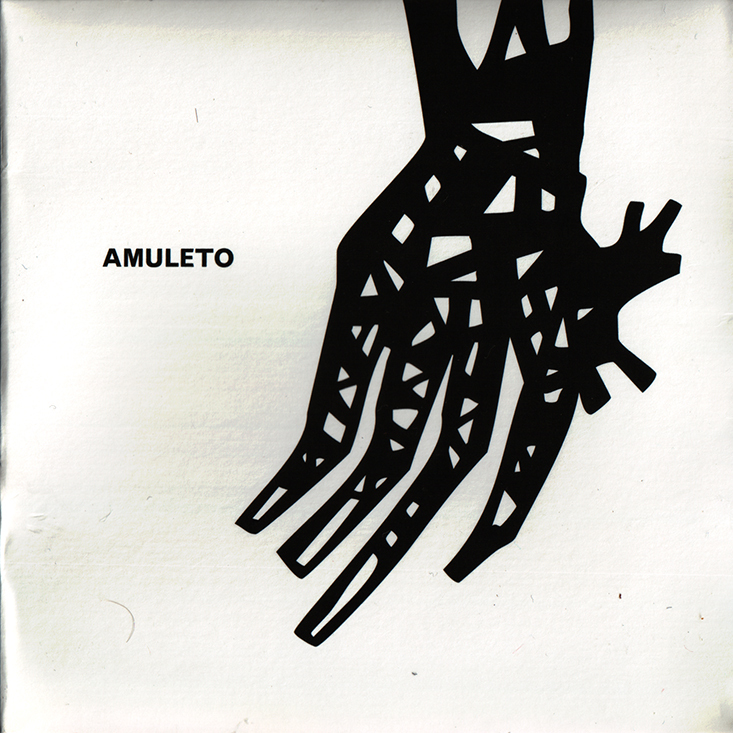 In Amuleto I play instruments and I use techniques (Field Recordings, Percussions, Harmonium, Electric Bass,...) that are not typical of my approach... and I discover to enjoy playing, from time to time, folk tonal melodies and progressions, quite unusual for me! How's your musical routine practice? What's the relevance of technique in music, in your opinion? My practice changed a lot during last decades... I am a classical-trained musician thus -for years- I instinctively started thinking about notes, score, technical practices and so on. Then (when I moved from piano/keyboards to guitar) I started to approach to the instrument (guitar) in a very primitive way: first the sound then the notations and the chords. I almost re-started learning music trying to forget what I knew about music theory. I approached the guitar in a "tactile" way! This new way to border on music, open my vision to a more direct interest to sound matter. Then I came back to theory and study and I try to organise and put in order this spontaneous passion to sound, noises and textures. Today, I usually start with an idea of sound I am looking for, then I choose the equipment (guitars, electronics, keyboards, computer...) more appropriate for what I am searching. Technique is very important. I experienced the double strategy: the technical approach and the instinctive one. The latter is nice, but it is poor (at least for me) without a technical training... I recognize the talent of musicians that approach the instrument in a naive way: but it is rare! In my case, I know I need to study and practice to be free, spontaneous and instinctive! In general, I am quite suspicious about inexperienced approach to music... Nowadays it is very easy to make music: as musician, composer, listener, it is important to study and learn to be able to choose and select among the enormous quantity of music. It would be impossible, since I always have music in my mind, also without listening. When I wake up in the morning I already have some music that plays in my head, I never have my mind in silence. So, I dont know If I answered to your question but in a way I could stay for a day without listening to music, but I wont be free of music. I just finished to read Grauer's book "Sounding depths", it is really fascinating!... it appears that the first human almost start to communicate (and hunt) through music! As I said before, I think it is quite positive to have access to a huge quantity and variety of sounds but it is also crucial to know how select and choose. This sentence could fit both for listener and performer. Today is the time of choice: I believe every sound has been already explored what it is new is the combination, the use of it. When I play and compose I usually prefer to reduce my freedom (i.e. 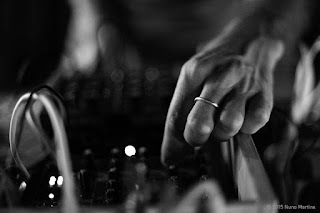 to select and choose) in order to explore deeper the sound. How do you feel listening to your own music? Depict the sound you're still looking for, or the sound you'd like to hear. ....not really comfortable. But it depends, when I am alone I am quite happy to listen to my music... not in public! I am always looking to deep sounds, three-dimentional sounds (not in terms of diffusion), I always look to the space in the sound and not the sound in the space. What special or strange techniques do you use? Which is the main pleasure of the strings? What are their main limitation? I do not consider myself really bizarre, I usually realize that the best setup for me is the simplest one! I like clear sounds that usually do not need great transformations or manipulations! I started preparing guitar with many objects and complex articulations, now I use more pedals and analogues filters. I like to explore pure tones, their interactions and combinations… I used for a long time Ebows trying to mask the sound of the attack (touch) of the string… so in a way I used guitar like an organ!! What continues to be special in the string instrument is to explore the subtile interactions of detuned strings: I like to work with minimal detuning and microtonality and I continue to enjoy doing this with an acoustic instrument! Can you describe a sound experience that you believe contributed to your becoming a musician? Tell me one musical work which has provoked a change in your music. I will tell you two musical works, both from classical repertoire: Robert Schumann - Humoresque and Giancinto Scelsi - Quattro Pezzi su luna nota sola, Op.59. The first one is probably something really personal: I played the piece and I renovated my thinking on melody, inner and hidden sounds, rhythmic and percussive sequences and its construction so rich of music ideas not evident but intimate… The second piece is a composition of Italian composer Giacinto Scelsi, it was written on 1959: four short orchestral pieces each one written for a single note: it is a sound exploration of the inner space of a single note: astonishing! It could appear a composition of Minimalism, I would better see it as a maximalist piece! I am deeply passionate about other expressions of art… Those that are more connected with my music are for sure literature and video-animation/painting. Literature is a passion that comes from childish and is part of inspiration for many musical pieces: short stories, novels… During the last years I prepared several pieces/sounds based on some works of South-American writers (such as Onetti, Cortazar, Bolaño…). Still, I continue to be devoted to the Italian writer Italo Calvino…!! 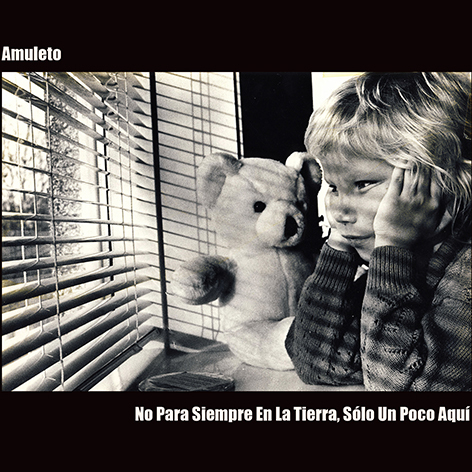 The “Amuleto” duo-project (with Francesco Dillon at the cello) takes its name from a novel of Roberto Bolaño and is deeply influenced by literature and iconographic traditions, mostly coming from old soviet and latino-american icons!!! 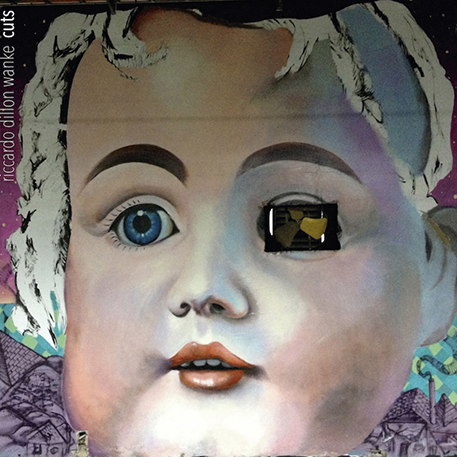 Concerning the video-animation and painting, I collaborate with the Italian artist Luca DiPierro. I love his drawings and painting and I composed several soundtracks for short films and animations. I had chance to work a couple of time with the guys from Metamkine for visual projects, once within the group Medves together with Giuseppe I., Renato Rinaldi, Andrea Belfi and Stefano Pilia… and more recently with David Maranha and Xavier Querel in Lisbon. In general, I think I always look at the “materic” nature of a work of art, being it musical or non musical. 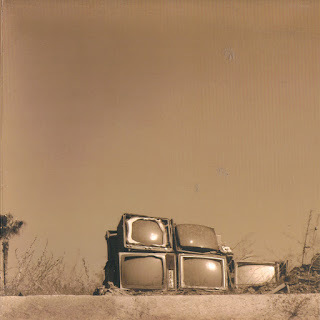 On this theme, I just finished my last record (it appears in Glistening Examples in these weeks) in collaboration with the Portuguese photographer Pedro Tropa (he joined me with a series of photographs specific for my music. We will present this project in Portugal soon!). The work is called “Oxidation States” and refers to all possible transformations of a substance (being it solid or sonic…). 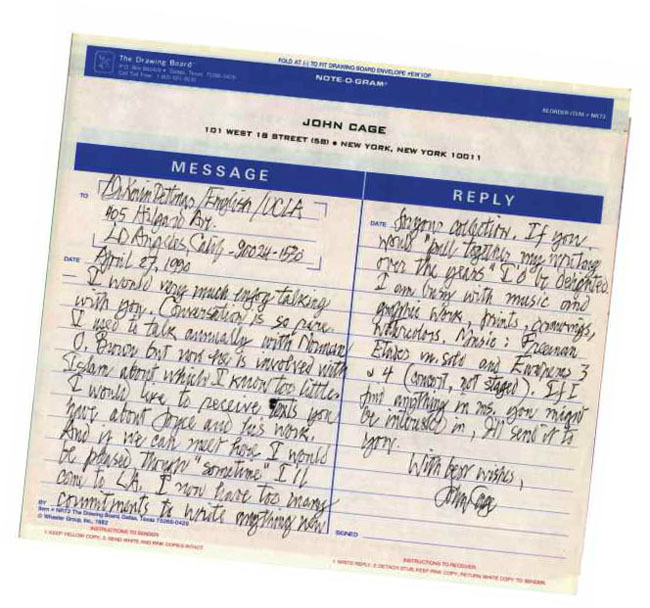 If you could, what would you say to yourself 30 years ago, about your musical career? What is some valuable advice that someone has given to you in the past? I could not say. I like a lot all special recommendations that appear in past compositions… For example in a piece, Schumann indicates: “Langsam, mit innigem, ausdruck” that could sound like “slowly, with intimate expression”... and everyone could differently interpret this advice, it is amazing! In music exists a wide space in which every musician could find his own place. What quality do you most emphatize with in a musician? Which living or dead artist would you like to collaborate with? Flexibility and Commitment. I would love to work with Alvin Lucier. I recently bought in India a Bulbul Tarang!!! I play guitar (mostly electric), but I am a multi-instrumentalist. I studied classical piano, I played for years electric pianos (fender rhodes, hohner paint), organ, harmonium and all keyboards. For 4 years I studied saxophone (tenor) and guitar of course. I moved also to electronic devices, modular synths, sequencers, analogues filters. In studio (and at home), I use softwares for editing and sound manipulations (Logic, Live, Max…), but I continue to enjoy playing traditional instruments and explore physical manipulation of instruments. Last November I was in Huddersfield for the contemporary music festival, I attended to some pieces of Jacob Ullman that were really soft… the live experience to listen at pieces so quiet is fascinating!… An experience… I remember also when I listen at the 3rd String Quartet of Georg Friedrich Haas (“in the dark”), it was performed in completely dark and it lasts 40-50 minutes… it is something really interesting! There is a great difference when the room is completely dark and your sight -even after some time- could not distinguish any profile or figure, in these conditions your aural appreciation become quite different. What’s your craziest project about? What projects are you working on now and what does the future hold? I am preparing a live solo performance for this year and I have some collaborations that I want to cultivate: I have a trio with David Maranha and Manuel Mota, it is called DRU, one record should come out soon! I have an idea for next my solo project but I did not start yet. Paul Cummings: I think I'd really like to start at the beginning because you did paint at one point, didn't you? Very early on? 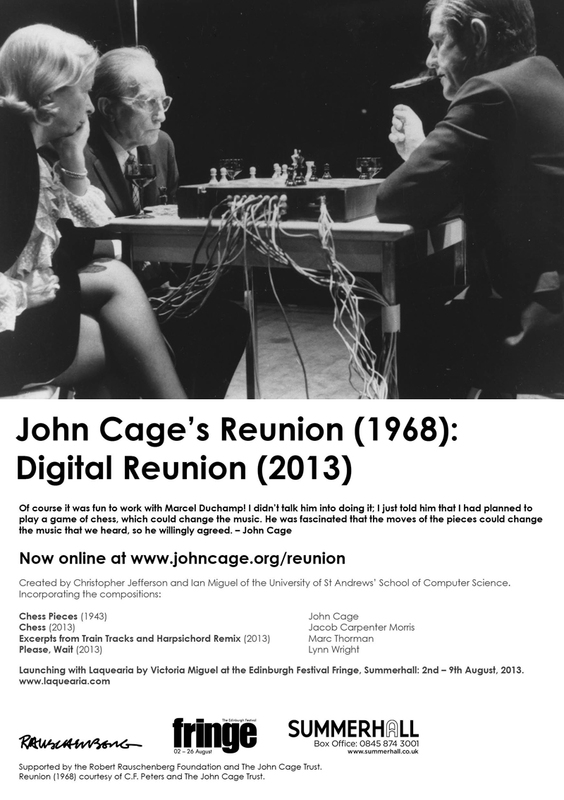 John Cage: I dropped out of college when I finished the sophomore year. The college was Pomona College. PC: Had you drawn before that? JC: No. I had taken piano lessons and I was, I think, like most people who go through American public education. They've all been warned against getting interested in anything seriously. The only craft they've been taught, the only thing they know how to do, is to write words. JC: And I suspect actually that if you took a Gallup Poll you'd discover that virtually everybody in the country one time or another has written a poem. JC: Even taxicab drivers, etcetera. I think, because the one thing people learn to do is to read and write. But we are warned against learning anything else. PC: And don't learn that too well. JC: So since I was convinced that I would be a writer when I was in college, I was also convinced that college was of no use to a writer because they required everyone to read the same books. So I persuaded my mother and father that going to Europe would be more useful for someone who was going to write than continuing in college and they agreed. My mother was interested in writing; my father was an inventor. When I got to Europe I was struck by, first of all, Gothic architecture and a teacher who had been at Pomona College came through and asked me what I was doing. He was Jose Pijuan. Do you know his name? JC: He was engaged in making a current events list for the United Nations, or the League of Nations. PC: Oh, that's what he was doing. JC: Yes. He insisted that if I was going to be interested in architecture, that I should be interested in Modern architecture. So he introduced me to an architect named [Ernő] Goldfinger [1902-1987] and I worked in his studio, curiously enough, drawing Greek Gods. JC: But, while I was in Paris, I went to many exhibitions of paintings and I went to concerts of music. PC: Had you seen much before in California as far as art was concerned? JC: No. My knowledge of music had been limited to the 19th century, and I was just getting interested in Beethoven; I was unaware of Bach. I knew nothing about Modern painting. If anything, my interest in the arts really stayed in the 19th century. So it was in Europe, in Paris, that I saw Modern painting and heard Modern music. And I came to the conclusion that I could do either one of them. So I began doing both and for three years I both painted and wrote music. PC: What kind of paintings did you do? Because I never saw any photographs, or anything, in fact. Do they exist? JC: The first things, of course, were squinting at the landscape, since one knew there was no such thing as black. And then simply painting with more or less pure pigments. It was in the spirit, but of course, not the quality, of Van Gogh. JC: That sort of thing. And then the music was extremely mathematical. I unfortunately lost the earlier pieces. I discarded them at one point. PC: Do any of those paintings exist, or drawings? JC: One of the paintings exists somewhere; I'm not sure where it is. I gave one of the last ones I made, which became a poster, to then current interests in art. What it was; was that I would look at a landscape and instead of seeing it straight; I would see it as though it were spherical. As though it was reflected in a headlight of an automobile, you see? PC: Oh, I see, yes. JC: So my subjects, to make that clear, became architecture. Houses. So I would look at houses and make them in this curious roundness. Then the very last ones were when I had a painting exhibition at Scripps College. This was in California, after I returned from Europe. PC: So that was what, '31, '32, '33, somewhere in there? JC: Somewhere in there. I had met, through my interests in painting; I had met Galka Scheyer [art dealer and collector, 1889-1945] and also the Arensbergs [Louise and Walter, art collectors, 1879-1953 and 1878-1954 respectively]. I knew Galka much better than I knew the Arensbergs, but I saw their collections. And at the same time, I earned my living through the Depression giving lectures on Modern art and music. I went from house to house and sold ten lectures for two dollars and a half. So people would get a little ticket and I'd explain to them that I was enthusiastic about both subjects, knew nothing, but that each week I would learn everything that could be learned. PC: And relay it to them. JC: And relay it to them, you see. So that I would start my week, for instance, knowing that at the end of the week I would give a lecture on Schoenberg, or Picasso, or Dali or whatever. And I made as studious an examination of Modern painting and Modern music as I could in that way. 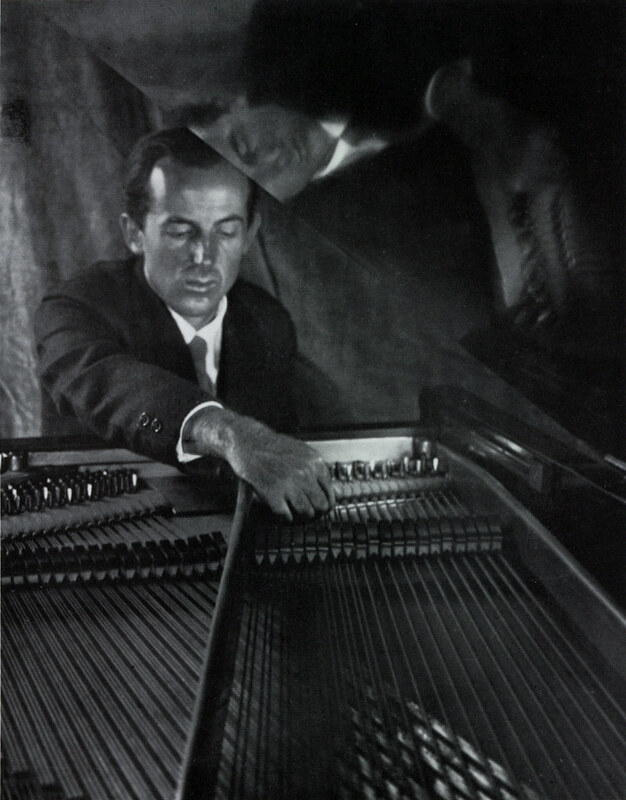 When I came to the [Arnold] Schoenberg [1874-1951] lecture, which was too difficult for me to illustrate with the piano, and there were no recordings at the time, I went to Richard Buhlig [pianist, 1880-1952] and asked him if he would come and illustrate the lecture. He was the first to play the Opus 11 [Beethoven piece] in Berlin. He refused, of course, to illustrate my lecture; but he agreed to teach me the composition, because I showed him the music I was writing. And then the time came when he said he couldn't teach me anymore. He thought my work should be published. And no one, neither Galka nor the Arensbergs, or anyone else had been as enthusiastic about my painting. So I recalled what I heard the architect in Paris say: "In order to be an architect, you must devote your life to music." And I decided, well, I'm into architecture, and I didn't want to do that, and that's why I picked up music. JC: Instead of painting. So I decided at this point that I should specialize in music and I stopped painting. In the last painting, instead of using brushes, I used steel wool to apply the paint on a canvas. So the paint was extremely thin. And the image was entirely abstract. By that time through this survey of modern painting and music, my favorite painter was [Piet] Mondrian [painter, 1972-1944]. PC: Oh really? What a fantastic shift. JC: Well, of course, I had other interests; I was fascinated by everything, but I was really devoted to Mondrian, devoted to Schoenberg in music. Then it was in '33 or '35, '35 I guess, I married Xenia Kashevaroff [artist, 1913-1995]. PC: Now where did you meet her? JC: My mother had an arts and crafts shop which was non-profit. Mother was the club editor of The Los Angeles Times. She started the crafts shop in order to give craftsmen an opportunity to sell their goods. PC: Oh, one of the Depression-kind of projects? JC: Right. I had no job. No one could get any work. So I either did library research for my father, who was an inventor, or other people's: people who were running for governor, who wanted this data or whatever; I would do library research for them. On occasion I sat in my mother's arts and crafts shop and sold the goods and wrote music in the back of the shop. One day into the shop came Xenia, and the moment I saw her I was convinced that we were going to be married. It was love at first sight on my part, not on hers. I went up and asked her if I could help her and she said she needed no help whatsoever. Do you know Xenia? JC: And so I retired to my desk and my music, and she looked around and finally went out. But I was convinced that she would return. Of course, in a few weeks she did. This time I had carefully prepared what I was going to say to her. That evening we had dinner and the same evening I asked her to marry me. PC: What did she think of all this, all of a sudden? JC: She was put off a little bit, but a year or so later she agreed. I think we were married in ‘35. So at first we lived in the same apartment house as my mother and father did; and I was, at the moment, studying with Schoenberg. I had meanwhile, gone off to New York to play with Henry Cowell [pianist, 1897-1965]. PC: You had met him before, Henry Cowell? 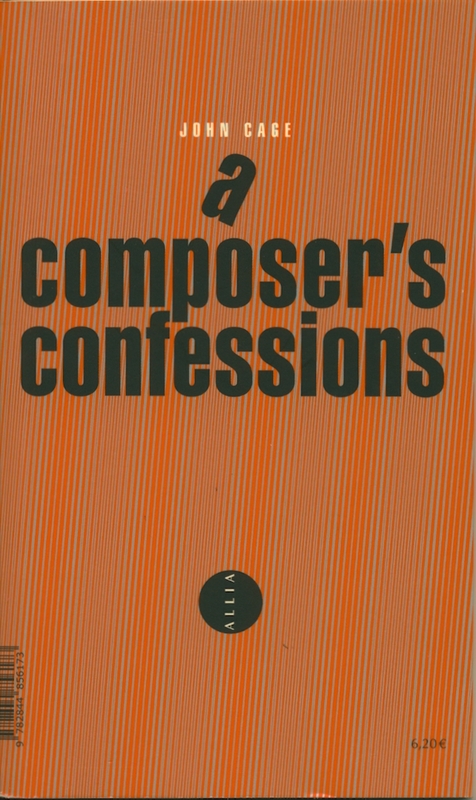 JC: No, this was -- Buhlig said my music should be published and send it to Henry Cowell. So I sent it to Henry Cowell and he said that he didn't think I had found myself. He would not publish it but he would present the music at a new music concert out in San Francisco. So I hitchhiked up to San Francisco. It was a clarinet solo, which is now published, a sonata for clarinet. The clarinetist came to the concert and turned out to have never looked at the music. This disappointed me deeply because I had made the trip without any money. So I simply played it on the piano with one finger as on a typewriter. But I had met Henry Cowell and that was very good. 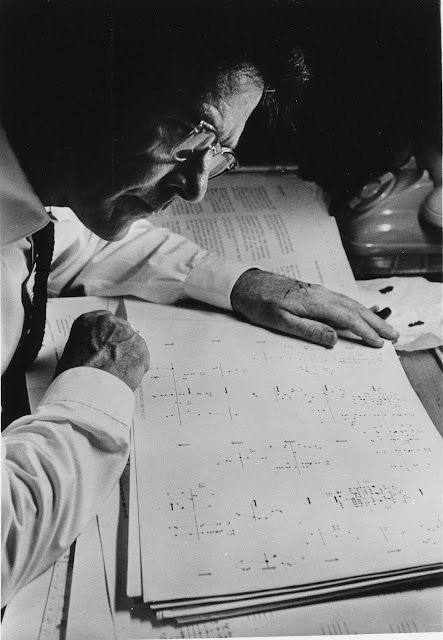 When I came to study with Adolph Weiss [composer, 1891-1971] here in New York, Cowell was teaching music at the New School and let me come to all of his classes. So I studied with Cowell and with Weiss in preparation for Schoenberg about a year later. PC: How did you find Schoenberg as an instructor? As a teacher? PC: No, I'm just curious. JC: So anyway, after we were married, when I stopped studying with Schoenberg, it was necessary to take some steps not to live so close to my mother and father. First of all, it had become clear in my studies with Schoenberg that I had no feeling for harmony, and I became, through a friend of Galka Scheyers', interested in noises. He was Oskar von Fischinger [1900-1967], who made abstract films. I helped him make his films in order to supposedly write music for his films. PC: What kind of work did you do on the film? JC: His images were colors, colored cardboard. They were strung on wires which proceeded from the camera to the screen in the distance like 20, 25 feet. I had a pole with a chicken feather on one end and every time he instructed me to move the cardboards, and then to still them because he couldn't take the frame until it was not moving. His work was very boring and mine was very tedious. He went to sleep once, and he smoked cigars, and his cigar burnt up the whole film. I ran to get a pail of water and threw it over his camera, which destroyed his camera. PC: That's what happened to your career as a film-maker. JC: I got involved with this percussion music and this led to -- oh, the way we got on to percussion music was moving away from the apartment. Xenia was interested in crafts and in book-binding, and she did later those valises for Marcel [Duchamp] [painter, 1887-1968]. But she was always a marvelous craftsman. We went to live in a large house in Santa Monica run by Hazel Dreis [1891-1964], a very fine book binder. I mean a real book-binder, not a case maker, but a real binding. And we both bound books. Xenia did most of it. I enjoyed designing the covers and so forth. I also wrote music there. Then, in the evening all the book binders became musicians and played in my orchestra. So because it was percussion music, I think it brought the interest of modern dancers. I wrote a few pieces for this dance group at UCLA, which was nearby, and also for the athletic department that had underwater swimmers who swam underwater ballet. That was how I discovered dipping a gong in a tub of water and making a sound that way. Because I found that the swimmers couldn't hear the music when it was above water, but could if it was both in and out. So this connection with the dancers led me to the possibility of getting employment working with dancers. I went one day to San Francisco and got actually four jobs in one day and of the four I chose to work with Bonnie Bird [dancer, 1914-1995], who was in the Martha Graham [choreographer, 1894-1991] Dance Company, and who was teaching at The Cornish School in Seattle. 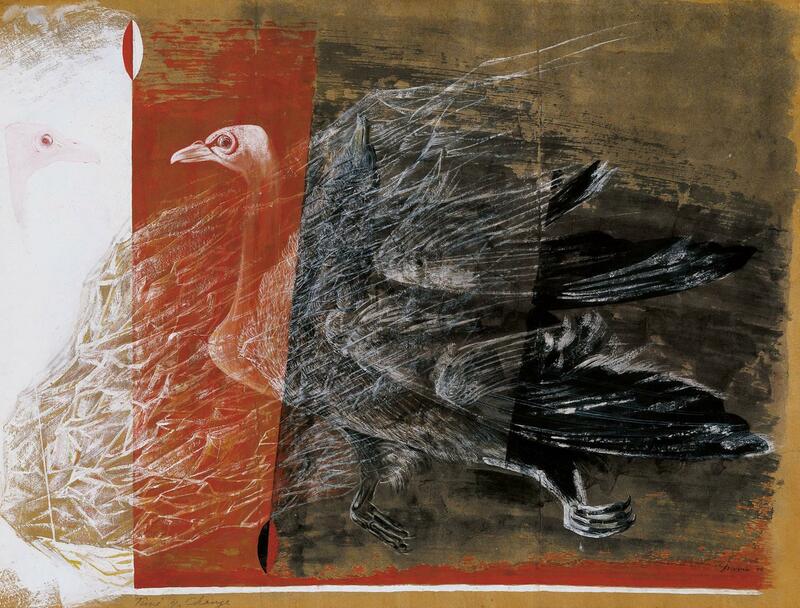 The Cornish School was an extraordinary school because of Nelly Cornish's [1876-1956] insistence that each person not specialize, but study all of the things that were offered. JC: And they also had a radio studio and a theatre and they had an art gallery. 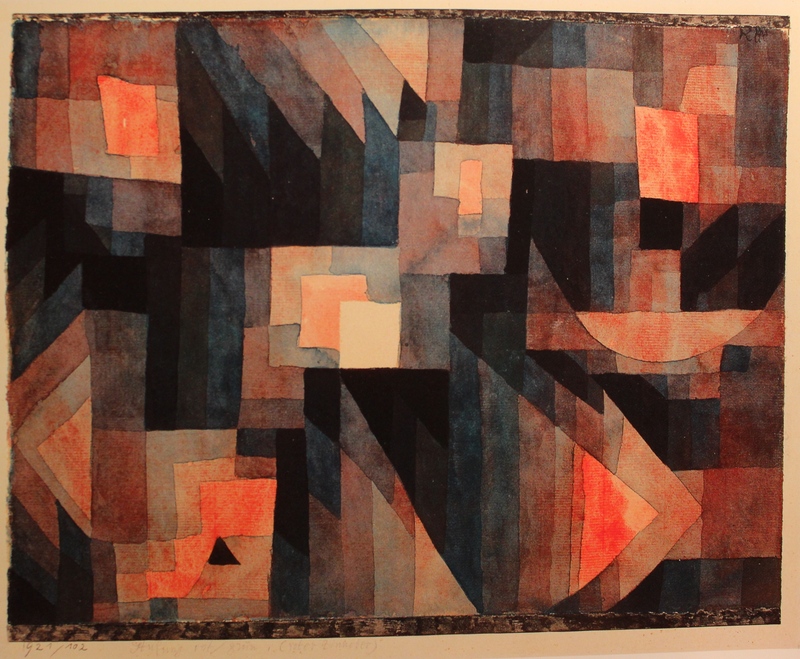 Since I knew Galka Scheyers I began organizing and saw very soon that people there didn’t know the work of [Paul] Klee [painter, 1979-1940], or [Wassily] Kandinsky [painter, 1866-1944], or [Lyonel] Feininger [painter, 1871-1956], or [inaudible] and I put on four shows of those painters' work there. 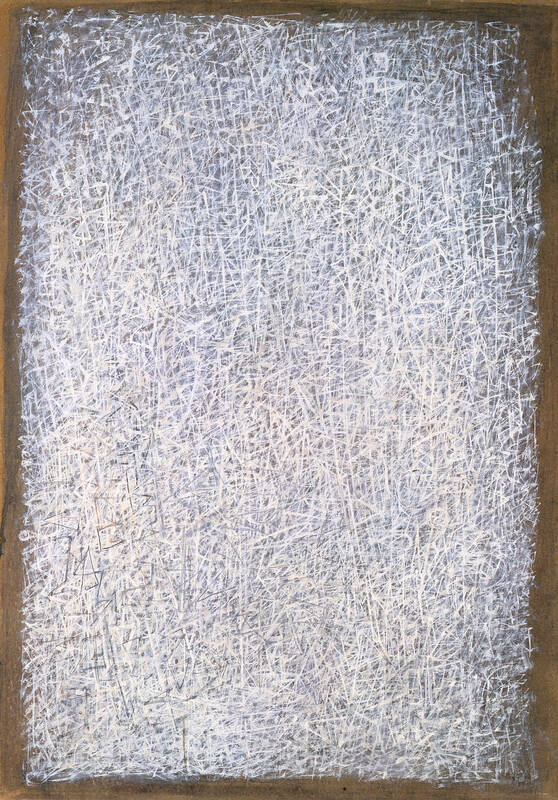 JC: And that aroused the interest of Morris Graves [painter, 1910-2001] and Mark Tobey [painter, 1890-1976] who were living there. I met both of them and they also were interested in my music and I naturally became interested in their painting. 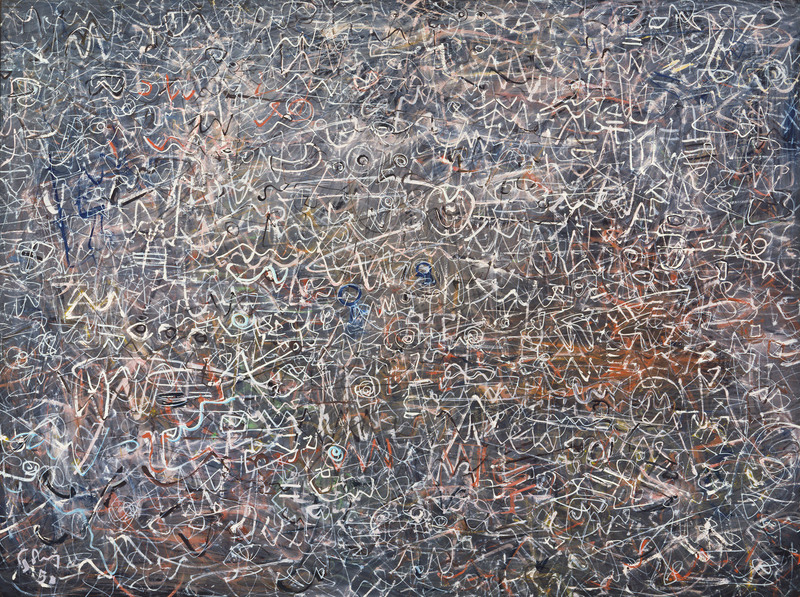 It was a walk with Mark Tobey from The Cornish School down to Skid Row where there was a nice Japanese restaurant -- he would stop us as we walked, Xenia and me, and point out things to see. It was that walk that opened my eyes, I think, more than anything. 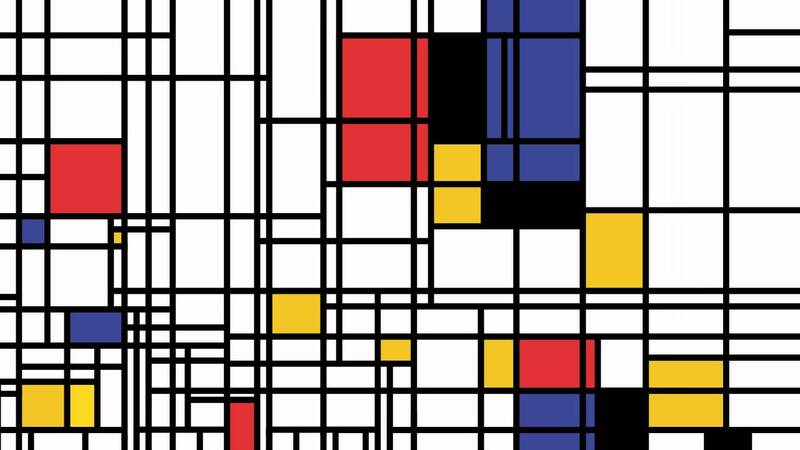 My love of Mondrian continued, but my eyes were opened, even to Mondrian, by Tobey, I think. To explain that last statement I'd say this: there was a show at the Matisse Gallery, not where it is now but where it used to be, with black paintings, that were largely black and white -- that was the thread going through the whole show -- and the painters were many different ones. There was a Mondrian in that show, even though it had some other colors than black and white. I happened to go to that show in the late afternoon. 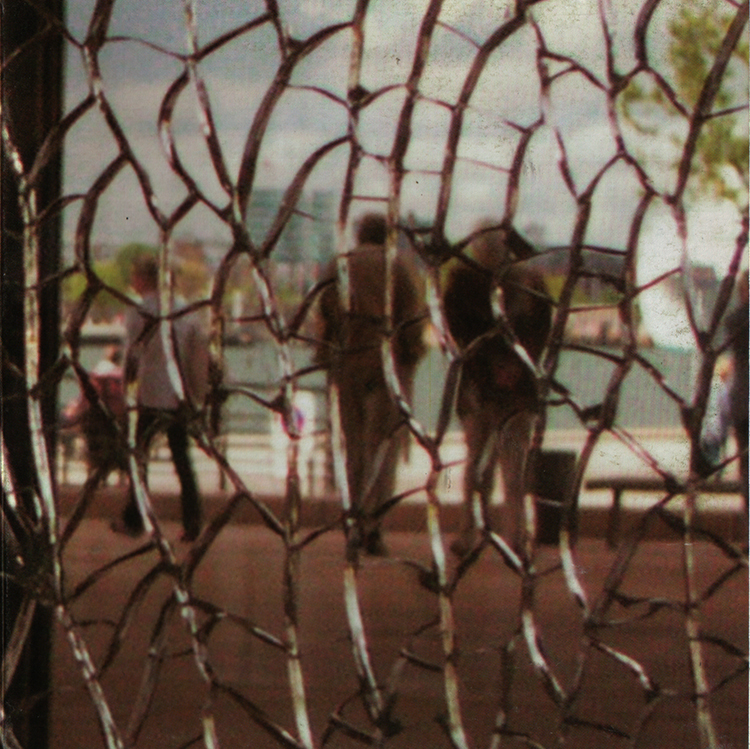 I noticed that the sun was setting, that the whites were not white and that the purism of the art was not pure because all of the surfaces were filled with cracks. Now I would have not noticed that if I had not been open up by Tobey. PC: What kind of things did he say? JC: I could say similar things now. I could say, look at this, look at that line, etcetera. JC: Look at everything. Don't close your eyes to the world around you. Look and become curious and interested in what there is to see. That's what enabled me to see that the white paintings of [Robert] Rauschenberg [1925-2008], later on, were not empty spaces. PC: What did you see them as, the Rauschenbergs? As surfaces or textures? JC: Inevitably, you're receptive to the environment, both in terms of the falling of light and in the falling of particles. 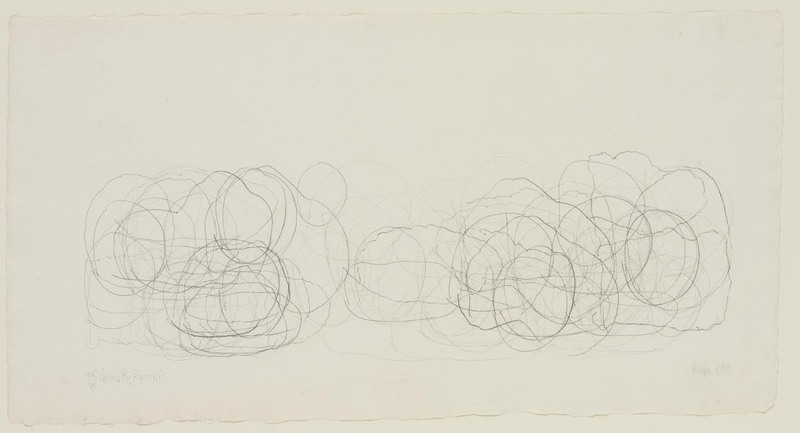 In my article on Rauschenberg, I say that they are simply airports for particles. PC: Tobey was playing the piano then, wasn't he? JC: He always does. Still. PC: He was still writing music then, wasn't he? JC: He doesn't write much music, but he writes some. PC: He writes little songs for children. PC: How did you like living in Seattle? You spent some time there, didn't you? JC: I liked it very much. What was important in Seattle was that so little was going on that anything that did go on was taken seriously. At that time, the gallery at the University of Washington would have a show that would last a month or six weeks and we would go and go and go and talk and talk and think about that one thing. Or if something came to the theater we would go to it and take it very seriously. PC: What was that Cornish School like, because I've always been fascinated by the people who taught there over the years. JC: It was a very lively place. PC: Were the students professional people? JC: Well, the art department was mostly geared, unfortunately, towards commercial art, and that was why when I gave the show of Klee's work, beautiful Klees, the head of the art department said that it was unfortunate he had hurried so to complete the show, because had he taken more time with his work, it would have been better. JC: And he was the head of the Art Department. That was, of course, in the late 30's. Put nevertheless it showed a profound ignorance of what was happening. PC: That's fantastic. You moved up and down the West Coast for most of the 30's, didn't you? Once you came back from France? PC: What was the cultural life like for you? Were there exhibitions to see? Was there any culture? JC: Well, there were a few things to see. The result was one really saw what one saw. Here in New York, unfortunately, now I see very little because there is so much to see. PC: You did some dancing in Seattle, didn't you? 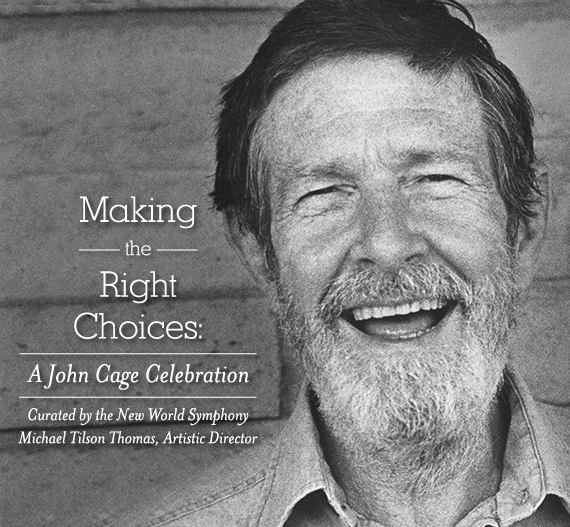 JC: I worked with Bonnie Bird and wrote the music for her, and I organized the percussion orchestra and made tours around the Northwest and to Mills College every summer. And that's where I met [Laszlo] Moholy-Nagy [painter and photographer, 1895-1946] and all those people from The School of Design in Chicago, and was invited to go to Chicago and join the faculty there. PC: I couldn't understand how you got that invitation. You met him in California then? JC: At Mills College. They had brilliant summer schools. The whole School of Design came plus, say, four dance companies. Four composers, one for each dance company. I was invited to compose for Marian van Tuyl [choreographer, 1907-1987] and Lou Harrison [composer, 1917-2003], for Louise Kloepper, [choreographer, 1910-1996] who was from Wisconsin, and a girl who recently died, Williamson, what was her first name? She wrote for another one, and then Jose Limon [choreographer, 1908-1972]. Anyway, Merce [Cunningham] [choreographer, 1919-2009] had gone to one of those, because I met him in Seattle. And he had been a student of Bonnie Bird, and he played in a percussion orchestra. When he went to Mills College for the first time, it was the summer they invited Martha Graham. She immediately grabbed him for her company. 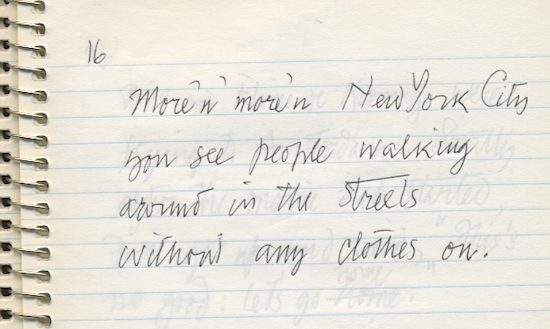 So he came to New York, and, I think, perhaps a year in San Francisco. That’s what it was, a year in San Francisco and a year in Los Angeles, attempting to establish a center for experimental music. I wrote to every company, every university in the country and I got consistent nos from everyone, except the Psychology Department at the University of Iowa and President Reinhart at Mills College. They were both willing to do it, but neither one had the money. And it was impossible to raise the money. 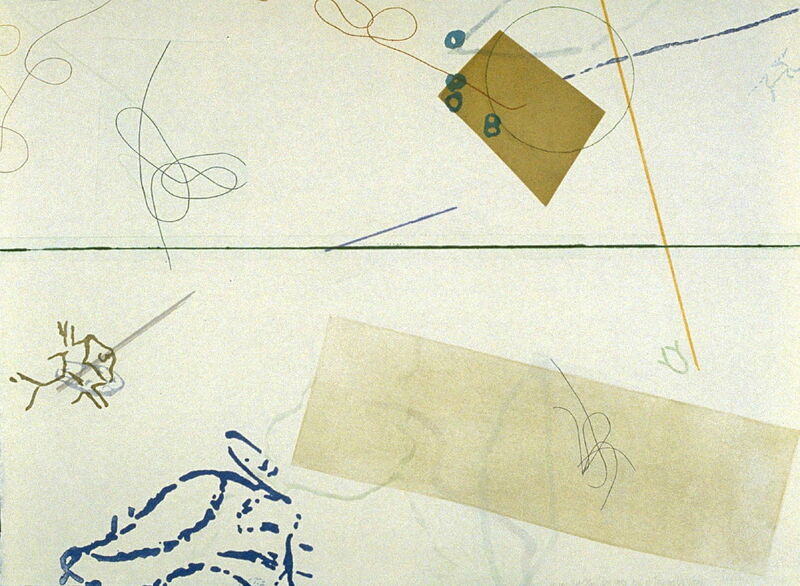 So rather than doing either one of those, I accepted the Moholy-Nagy invitation to Chicago. It was there that I did the music for a Columbia Workshop play. PC: With Kenneth, Kenneth Patchen [poet, 1911-1952]. JC: With Kenneth Patchen. Xenia had inherited a small amount of money, and at the end of that year, we decided that since the fan mail for the Patchen play had been very good, we would come to New York and make our fortune. I would write music for radio and films and so forth, using sound effects, because I was still working principally with percussion. Well, it turned out that when I got here, all the fan mail that was received by CBS here was negative. So there was no possible employment. Also we were penniless, absolutely penniless. We spent the first two weeks living as guests of Peggy Guggenheim [art collector, 1898-1979] and Max Ernst [painter, 1891-1976]. We had met Max in Chicago. 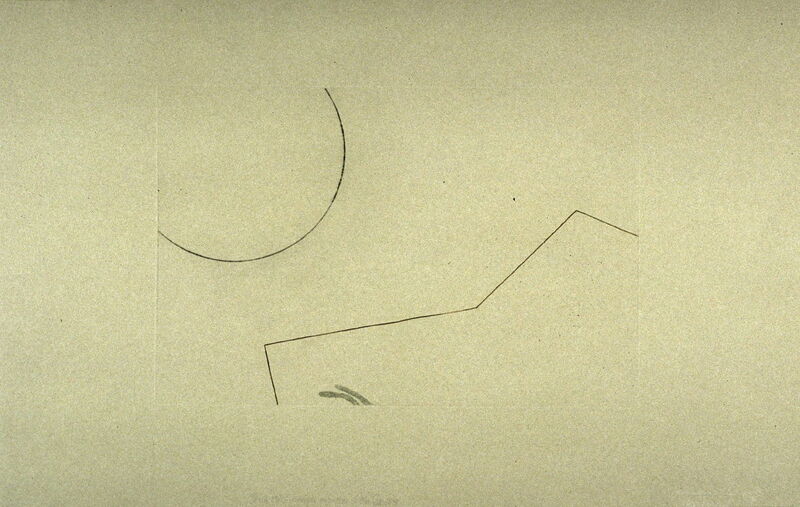 Then Merce wrote, it was the summer, from Bennington College where he was with Martha Graham, saying he and Jean Erdman [choreographer, 1916] were going to give a program and they needed some music. Jean offered her apartment. She's married now to Joseph Campbell [scholar, 1904-1987]. So we took the apartment, which had a piano, and I wrote Credo in Us in return for the rent. Then I had to write other music for dancers. I charged five dollars an hour. 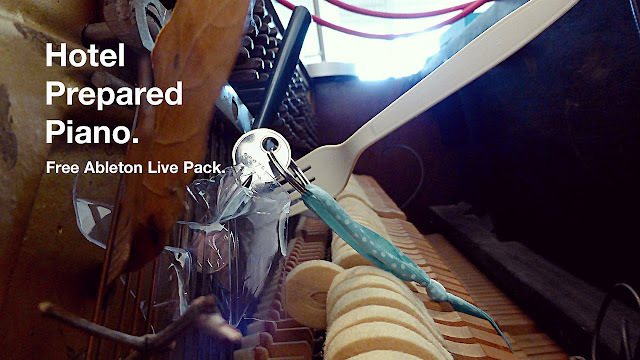 I wrote other music to just get something to eat. PC: What did you do at The Institute of Design? What kind of activity did you have? JC: I started teaching people percussion. Following more or less Buhlig's principles, but in the say of sound. They, unfortunately, at the same time had a school with no walls that went to the ceiling. So Moholy came in one day and said would you please confine your classes to theory. I had, at the time, 300 instruments. It made such a racket that the other teachers couldn't stand it. So I took all my instruments out of the School of Design and to The University of Chicago, where I also had a job working as an accompanist for Katherine Manning. PC: What were the instruments? All kinds of things? JC: Yes, both conventional and unconventional, like break drums and flower pots and so on, and exotic instruments. All kinds of drums and gongs and symbols -- everything I could. I experimented a great deal to find things to make sound. In the Cornish School, which already made a piece of recordings amplified in combination with instruments -- not as loud -- because I was able to use the radio studio possibilities, and also did that in the Patchen play, using things that had been sound effects. That's what I was so excited about. PC: So you were happy to be in New York? JC: I instantly met all the painters who were here because of the trouble in Europe. 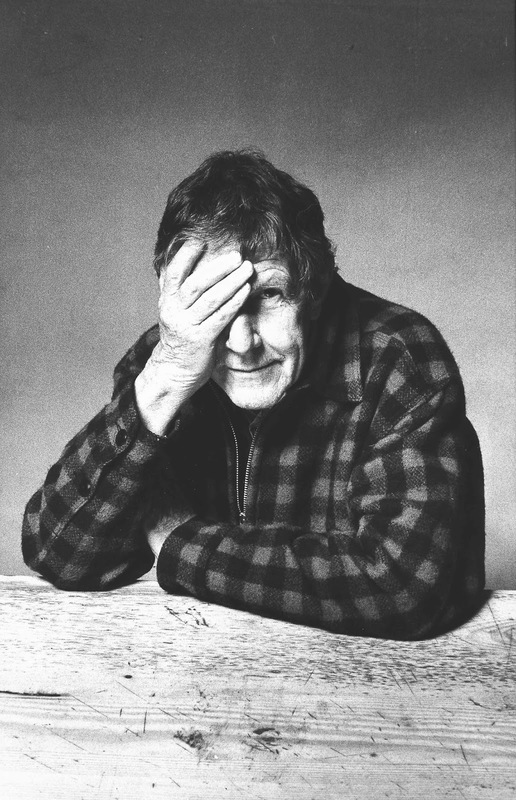 And I met, among others, Mondrian, Max, Joseph Cornell [sculptor, 1903-1972], David Hare [sculptor, 1917-1992], etcetera; all of the people who Peggy showed as Art of This Century [gallery in New York City] later on. I, of course, was very ambitious to give a concert of percussion music in New York. Peggy wanted it to open the Art of This Century gallery, which, as you know, [Frederick] Kiesler [1890-1965] designed. JC: But I also was invited by The Museum of Modern Art to give a concert and it was to be sponsored by The League of Composers. JC: So I automatically accepted it. When Peggy found out I accepted it, she canceled her show and she also refused what she previously agreed to do. She refused to pay for the transportation of the instruments from Chicago to New York. I had no money to pay for them so it was a terrible, terrible time financially. It really was at the point where we literally didn't have a penny. There is a certain exhilaration in not having anything that doesn't exist when you have a nickel. But if you literally don't have anything, it can be quite lively. PC: You mean in terms of what? JC: You feel totally free, as a necessity. If you had a nickel, you are apt to feel miserly. Particularly someone who was more or less my age. As I got more and more employment writing music for dances and even for one or two singers, one singer really, when I would see something I wanted I would do it, like I had already done with Galka Scheyer, I would buy it on the installment plan. I had bought three Galvinsky's [sic]. I was fascinated by those variations. 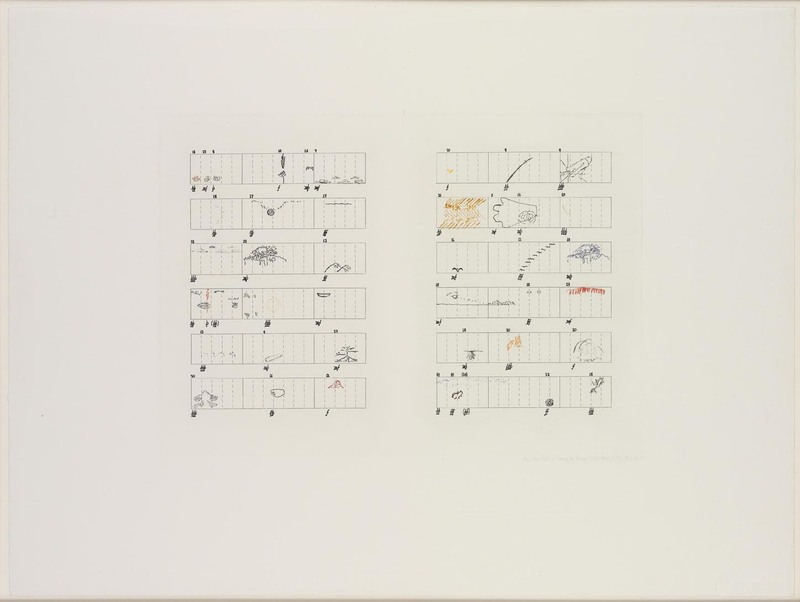 The next thing I bought was a [Roberto] Matta [painter, 1911-2002] from a show at the Julien Levy Gallery, again on the installment plan. 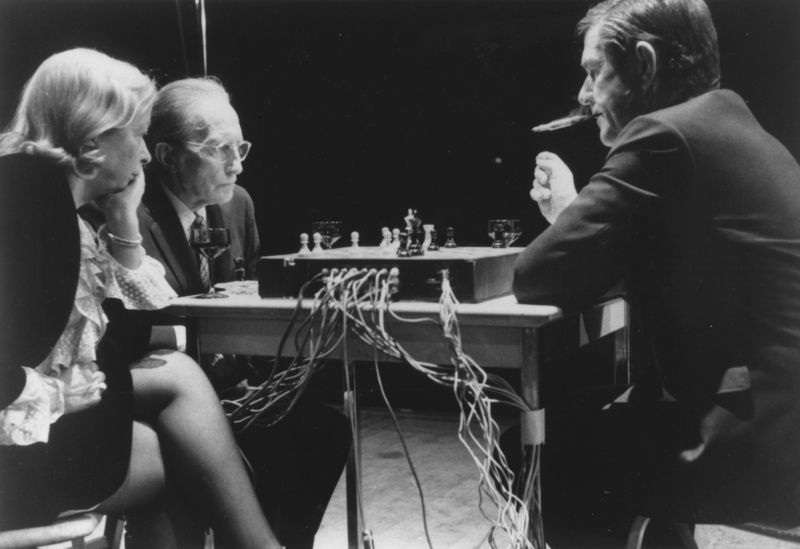 Then Julien invited me to contribute something to the show in honor of Marcel [Duchamp], and I made a chessboard, which was shown recently in Chicago, in connection with the Duchamp exhibit. It was another exhibition called "New Ideas and Forms" -- "Recent Ideas and Forms in Art", and Rue [Winterbotham] Shaw who's the president of the Arts Company [sic - Arts Club of Chicago] owns the chessboard. PC: So, that's interesting. You've had an evolving collection, haven't you, over the years? JC: Oh, those things. The Matta and the Galvinsky all stayed when Xenia and I separated; they all stayed with her, and so did the books and the bindings and everything. I think that fact of our separating and my decision for her to have the paintings -- actually she didn't take them all. I had also bought her a white painting of Tobey's which Marion Willard [art dealer, 1904-1985] did not put in the exhibition, out kept back in her office. She didn't think it should be in the show for some reason. It had absolutely no representation in it and, I think that's the beautiful one, you know? I bought that. Unfortunately, I don't have it any longer because later when I needed money I sold it back to Marion, and the very same day she sold it for twice the value. Of course, now it would be out of sight. PC: But you have had a number of Tobey's over the years, haven't you? JC: I have had two, now I have a third. PC: That one over there. JC: His work succeeds, even when I'm determined not to own things, it succeeds in making me feel possessive. JC: Well, he knows it. PC: But, I mean, that's marvelous. Can we talk about the concert at The Museum of Modern Art? Because that was a very important event for you at that time, was it not? JC: I thought it was. It was not as important as I thought. It was highly publicized and highly reviewed, even in Life Magazine. So I thought that my fortune would be made. I was very naive and quite ambitious, but I discovered very quickly that no matter how well known you are, it doesn't mean anything in terms of employment or willingness to further your work or do anything. PC: It just means that more people know you. JC: Yes, that's all it means. They don't know you for very long either. I think from all that publicity, the one letter that came to me was from some lady in Tennessee who had a rhythm band and saw some connection between what I was doing and what she was doing. 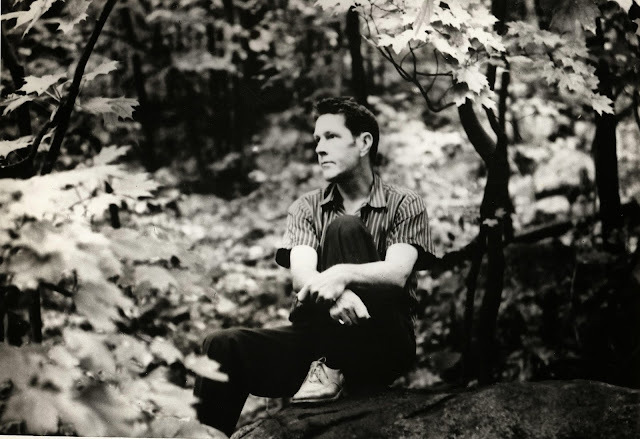 Dan Meurson [sic] and Jean Erdman came back to New York and gave a program, and I found the work of Martha Graham, at the time, uninteresting. When it became literary, I let it go, and so forth, and I kept persuading Meurson, kept saying that he should leave Martha and do his own work and that I would help with the music. So that began from '43 on; we gave more and more concerts and finally tours across the country, giving programs. Mostly we didn't make money that way but we would make ends meet. On one of those occasions in '48, even though they paid nothing for the program except to just house us and feed us, and in the end to give us presents. We went to Black Mountain and that was of course very important from the point of view that interests you now, of painting, you know. 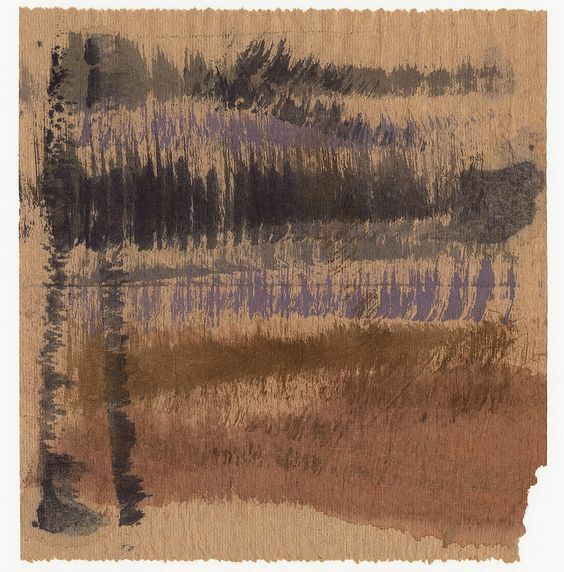 I found my ideas were absolutely like two peas in a pod with those of Josef Albers [painter, 1888-1976]. JC: The ideas I had were those that I describe in an article called "Forerunners of Modern Music." 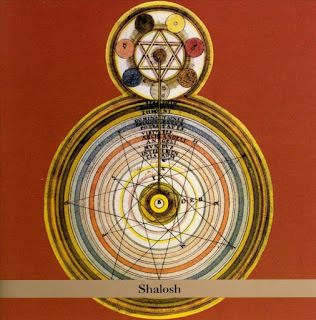 It was seeing the mind and the heart as a dialectic and that there should be a structure which admitted the freedom, and that's exactly what Albers believed. You know, he makes these vigorous designs and then carefully breaks the rules, so that we were seeing eye to eye. Later, when I developed my work with chance operations, he became actually unfriendly. Anni Albers [printmaker, 1899-1994] didn't; she would still accept and enjoy my work. I think that he wouldn't. JC: Because he absolutely insisted on a strict organization of things. Anyway, not at that time, but a subsequent time; I met [Willem] de Kooning [painter, 1904-1997]. It was my suggestion to Albers when he asked who in New York should teach there at Black Mountain. Besides myself, he said he's like someone who was entirely different. I suggested de Kooning. 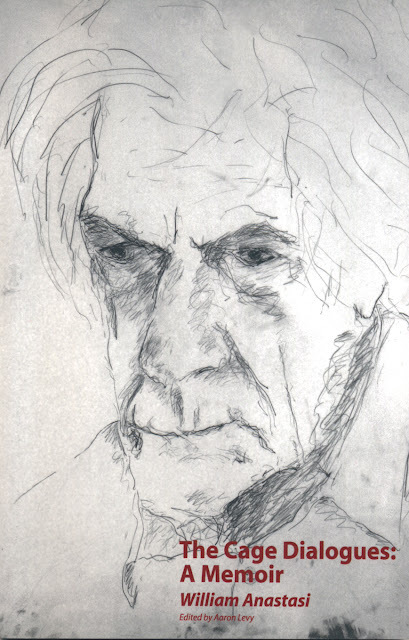 Partly because I knew he was different, because I didn't particularly like de Kooning's work. Since I didn't, and since I felt so close to Albers, I thought he would be just the right person. I think he was. I think Albers was grateful for that idea. It is amusing that both of them later connected in one way or another -- what Bill called jail [inaudible]. But then it was later when I went to Black Mountain that I met the next really important person for me in painting. That was Rauschenberg, who weaned me out of Mondrian completely. And curiously enough, Rauschenberg himself is not weaned free of Mondrian. But it was probably because he was not free of Mondrian that I was able to see his work because I could see Mondrian in it. PC: That's fascinating, so few people have made that observation about him. JC: His work, if you look carefully, I mean you don't even have to look carefully, it's all Mondrian. JC: That's all Mondrian, that's all it is. What's marvelous is a picture of Eisenhower could very well be someone else. JC: It makes absolutely no difference. Because the thing that's going on there is this interplay of horizontals and verticals. PC: And the panels. Why do you think he used those images, just to be perverse? JC: No, no. He's quite aware of it. We didn't ever have to have discussions or arguments or anything because we knew even before the other one said something what he was going to say. Almost like an alter-ego. 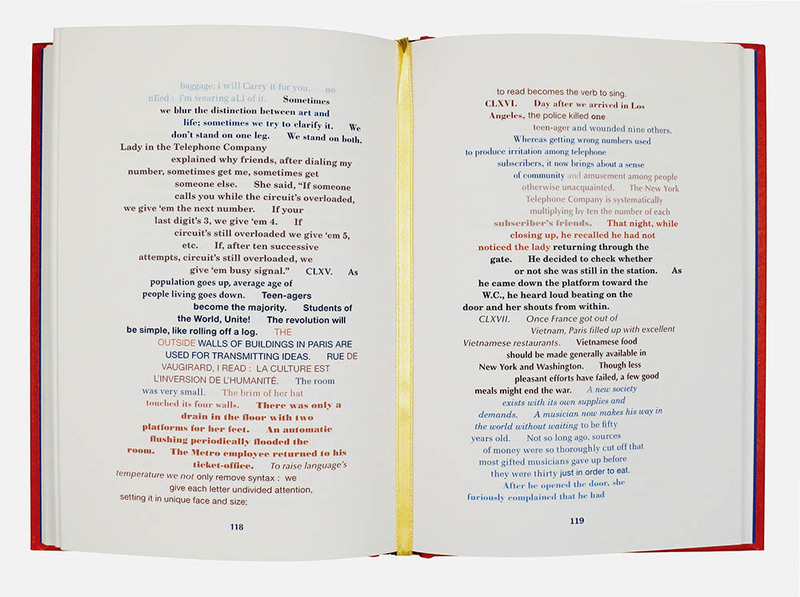 JC: I think my ideas about Rauschenberg are fairly lucidly given in that text on him. PC: Have they changed much since you wrote that? JC: Not essentially. Our friendship is not what it was. I don’t think that the community of interests is different. I object to a number of things that marred our friendship. I don't know if that's so interesting particularly because that could be altered. The friendship could reoccur. I simply don't enjoy many of the people whom he surrounds himself with because there are people who say yes to everything he says, and I don't find that climate interesting. PC: No, you can't grow in that. JC: No. 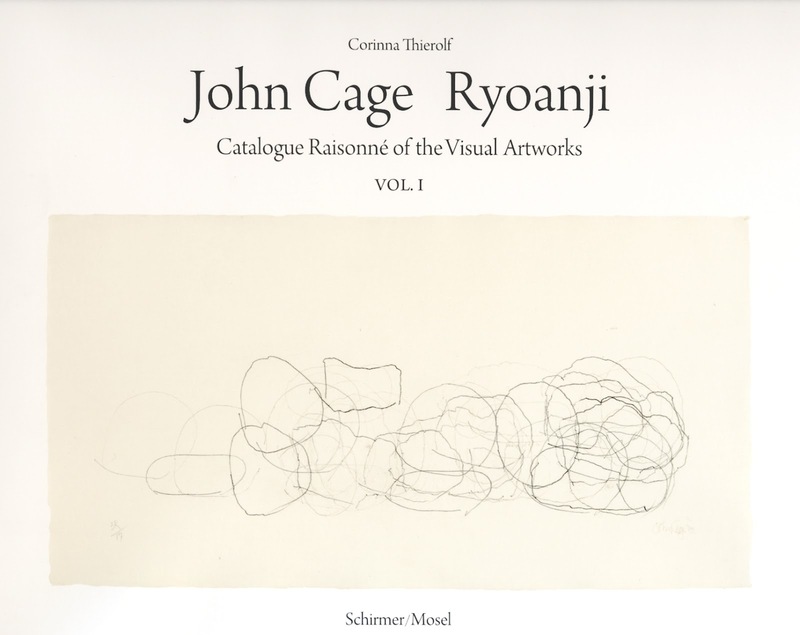 I was absolutely in seventh heaven when I knew both Rauschenberg and Johns together. The frequent evenings that we had with Merce were unbelievably delightful and inspiring. It was when Bob [Rauschenberg] and Jasper [Johns] [artist, 1930] had lofts in the same buildings and one was on Water and one on Front. I forget which was which. Before that it was Bob on another street. I think it was Fulton. PC: Oh, by the fish market. JC: I'm always speaking of being open minded, but I can't, I actually tend not to open my mind unless I'm absolutely obliged to. PC: What provokes the opening? 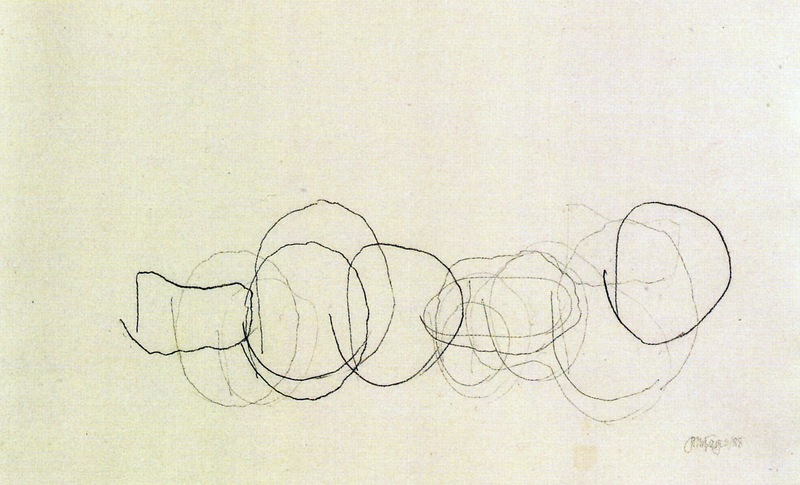 JC: I don't know, but I felt so delighted with Bob's work that it was impossible to see Johns' work at the beginning. That's why I wrote a [inaudible] under the name of Leo Castelli [art dealer, 1907-1999] because he was able to see it immediately, whereas I wasn't. When I would go to both studios, I was interested and devoted to Bob's work, but somehow I was put off really -- isn't that curious -- by Jasper's which now, of course, I love. But I was not able to see it at first. I think that's evidence of its great strength. JC: It was a discovery of great importance and I think it still is. Just the other day I found a reason for being heartened to his work. I'd been talking in a recent text called "The Future of Music" about the differences between process and object. PC: You were saying about the process and object. JC: Yes. Though I say something like this in the text I wrote on Jasper, near the beginning, and I tend to forget it, and it was aroused again in me by a philosopher at Fairleigh Dickinson, where I spoke the other day, saying that though he agreed with me about the inclusiveness of process and the exclusiveness of object, he thought that we needed both, and that's precisely what Johns' work gives. When you see a flag or a target, you see that object at the same time that you see that it's not an object, but a process. And that's a very difficult thing to give and a very difficult thing to do or to think. Yet he does it. PC: Fascinating how that all fits together in his work. JC: It's just extraordinary. What is further remarkable is that his work doesn't all do the same thing so that you are continually having to live over again. PC: Well, you discover something new in it, too. JC: But you have to yourself change. It's not as though he's doing it for you because he doesn't make it easy. That's always the problem, at least for me. There is something relatively seductive about Bob's work. PC: Well, I was just curious. Rauschenberg's work deals a great deal with human beings in costumes and things. PC: But you've written music and it's been all sort of combined, and I'm curious; how much does it work together, if it does necessarily? JC: We learned to work independently and we just bring it all together. That's what distinguishes our work. PC: I'm just curious about how everything was put together. Is it totally separate and then comes together? 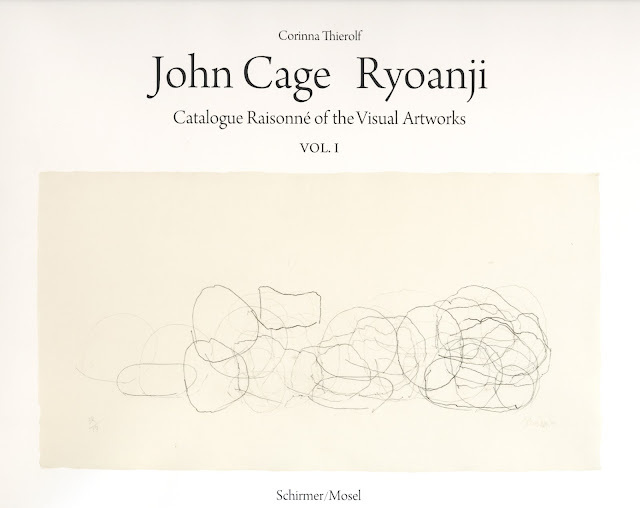 JC: Yes, it developed from my notion about rhythmic structure, rather than a tonality structure in music. 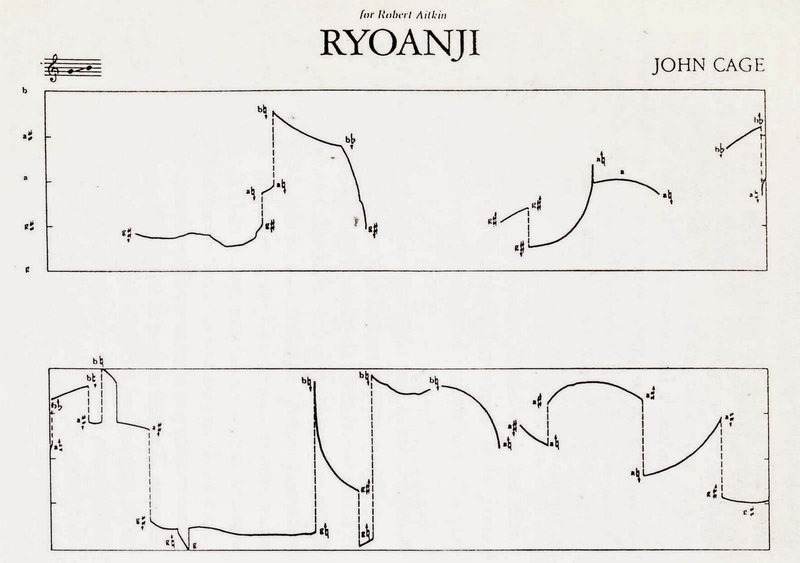 This enabled me to work with dancers in such a way that neither the music nor the dance came first, but they both came at the same time because they existed in the same rhythmic structure. As Merce and I worked longer and longer, our meetings became less frequent. In other words we did not feel the obligation to be tied together. So that the meeting points became farther apart and finally became realistic. This of course is the result of much Oriental thought, or thoughts that are like Oriental thoughts. Namely that you don't have to put the body and spirit together because they are not separate. You don't have to put the music and the dance together because they are going to be experienced in the same room. Do you see? JC: And this is also interested in the theater too, and it’s double that in Artaud which was influential in both parts. PC: Well, did you read books on theater? JC: Merce had read many books on dancing and theater. PC: But have you read much or not? JC: Well, we had all these discussions and talks. PC: So it comes in. What about Rauschenberg, has he? PC: It fascinates me though that process bringing three things together seems to work all the time. Or is that because you know each other? JC: It doesn't always work. We're just discovering that this year. This year Merce has had the advance. Have you gone to any of them? Two or three each weekend. PC: No, I haven't gone to any of them. JC: And the music instead of being our music has been constantly changing and there has been a cross section of new music by younger composers. I think there have been fifteen different composers represented in these weekends, and it's been a remarkable experience. One thing that makes it difficult, the dancers, out of physical necessity, have a rhythm which is periodic because of the two legs. They are bound to have something resembling a beat. If the music also has a beat and those beats are not together, then it is both very difficult for an observer, and it's difficult for the dancers. The same kind of difference of beat can exist between the dancers because it doesn't disturb someone moving slowly, that someone is moving rapidly. But if you had a different tapping so to speak, that is necessary, that is physically necessary in the dance, and you have an additional one, a very definite one in the music, it produces an awkward, difficult situation. JC: If the difficulty is interesting, in the way that we said Jasper's work is interesting, but I'm not sure. There is where you have an example of a certain close-mindedness on my part, even though I speak continually of open-mindedness. The other thing I find difficult is that light work, which is a collaboration between David Tudor [pianist, 1926-1996] and Tony Martin [light artist, 1937], and combination with the dancers here. 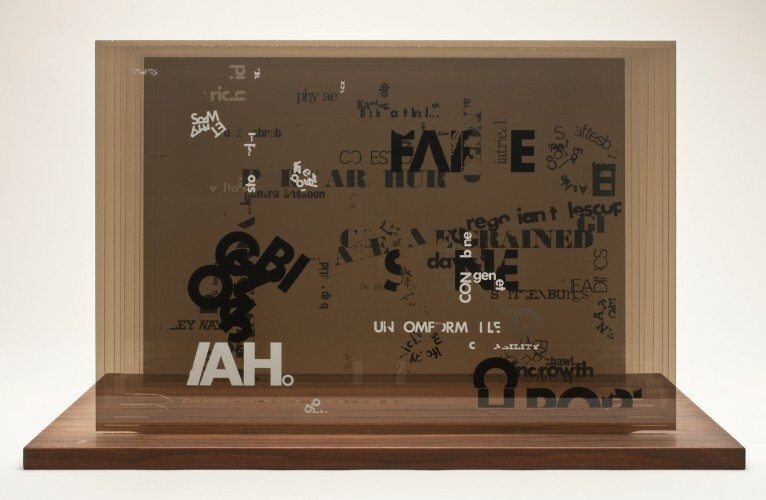 Tony Martin's work is entirely two-dimensional; the dance by its nature is three-dimensional. To have polka dots suddenly appear on the dancers faces seems to me wrong. I can imagine three-dimensional light, but two-dimensional light in relation to the dancing is, to me, just wrong. PC: So the dance is three-dimensional? JC: Yes, you’re definitely right. PC: You can't have a one-dimensional dance? Unless it's from Dali. JC: I didn't enjoy it and I thought it was extremely exhausting to look at. 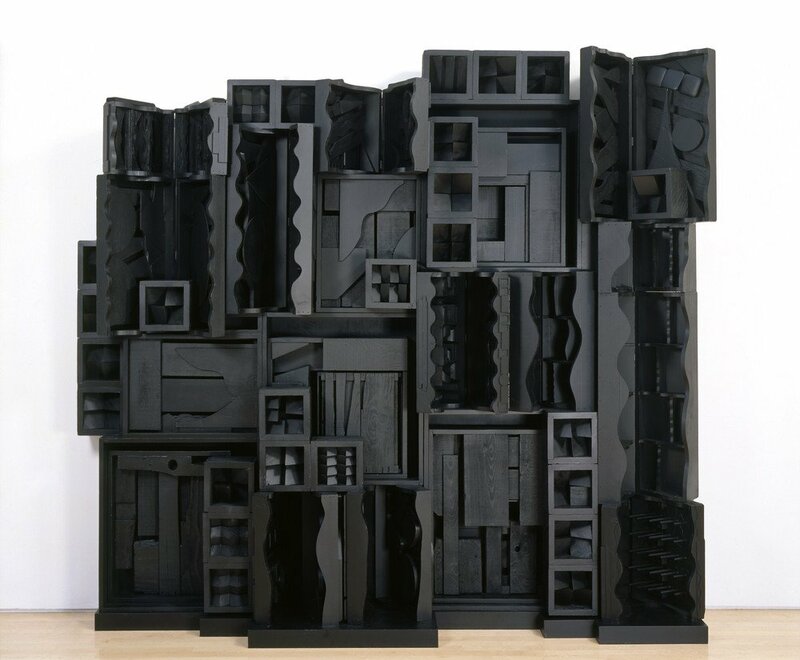 The one person who was more open-minded than I was about it was Louise Nevelson [sculptor, 1899-1988], which was very interesting. I found her a marvelous woman. PC: Very fascinating. You mentioned Black Mountain. You were there a number of times, weren't you? Once or twice? JC: I always thought I had gone two times, but I went three times. '48, '52, and ‘53. PC: So how did you like that? Because that was a different kind of group and a different kind of milieu. JC: Oh, it was marvelous because we had our meetings over the meals, which were of course very poor, but the conversations were very interesting and lively and so was work. And I was undisturbed by people because no one wanted to study with me. PC: There were things like the Satie Festival and various things, and you know, what everybody now calls the Proto Happening. JC: That happening was a manifesto really, but the idea that we just mentioned of the possibility of things coming together. 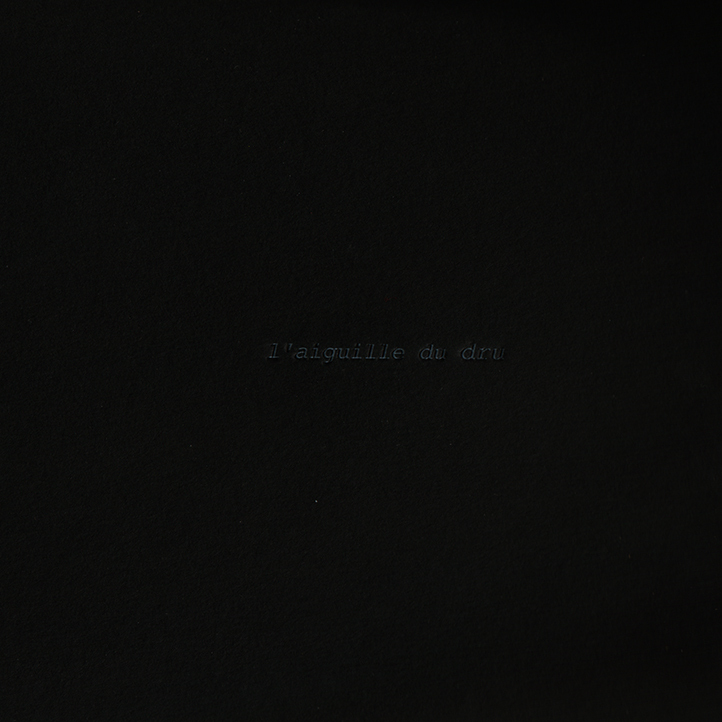 Directly influenced by the theater and Artaud. 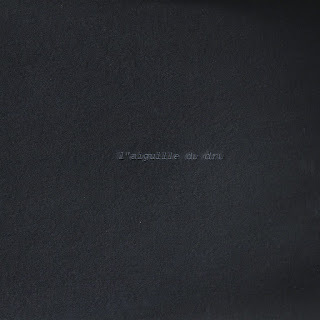 But I don't think Artaud himself had those ideas, but what he said gave people those ideas. PC: Yeah, I thought Artaud had quite a different, I haven't read that. JC: At the end of a play he suggests that should be done. Doesn't bear any resemblance to a happening. But his chapter on the importance of sounds and actions, independent of texts, does. In the field of painting the next thing that is very important, and that we haven't mentioned at all, for me, is Marcel Duchamp. PC: Yes, when do you meet? You meet him once, but then you got to know him later. JC: Well, first with Peggy in '43. But I admired him so much, and more and more, more than Mondrian. I kept a proper distance, respectful distance even though I wrote music for his sequence in Dreams That Money Can Buy. I still didn't feel that that gave me the right to know him. But then when I saw, fortunately, some five or six years before he died, that he was getting quite old, I thought it would be foolish not to be with him as often as possible. So I asked him to teach me chess. That way I was often with him. I never asked him questions about his work, but that's well known. PC: Well, had you, I don't know, how do you say it? JC: It dawned on me that Marcel had done this 50 years, 40 years before. I saw him in Venice at Peggy Guggenheim's and I said, "Oh, Marcel, you did that long before I did." And then he smiled and said, "I must have been 50 years ahead of my time." I had never taken his work seriously, that is to say, his musical work. Whereas now, it's perfectly clear that his work in music is as serious as music is. PC: I'm curious about the Duchamp relationship. Obviously, you did spend a lot of time with him, the chess and things. You say you didn't talk about his work? But did he talk about it? Did you talk about art ever? Or was that not one of the mutual topics? JC: Mostly not. There remained for me and for many people, as you know -- and you can tell by reading the catalogs and so forth -- many people approach Marcel's work as though it was a puzzle to be solved, and reasons to be found for doing what he did. This attitude has never appealed to me. 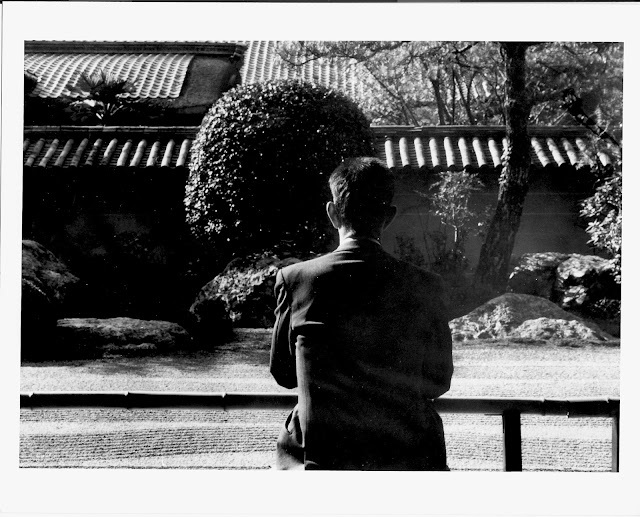 What appealed to me far more were the correspondences that I saw, which I've written about, between him and what I learned from Oriental philosophy. What especially fascinated me, now I see the same ideas that were in Marcel in [Henry David] Thoreau [philosopher, 1817-1862]. Those correspondences give me much more than knowing for one reason or another why he did what he did. 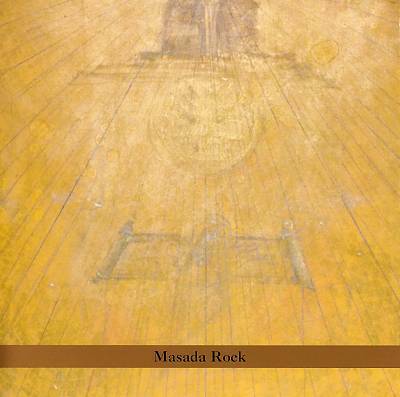 It is particularly interesting because he denied any direct contact with Oriental thought. PC: But don't you think there are a lot of those whose ideas float around under different disguises? JC: Yes, I do think so, and that Europe has a lot of it built into it. In [inaudible] it came in through Islamic thought, or through [Arthur] Schopenhauer [philosopher, 1788-1860], in one place or another. PC: But there was a great deal of interest in that thought when he was growing up in Europe, in that generation. JC: But he said not. That was one of the few questions I did ask him. But what interested me more than anything was just being with him and noticing, in so far as I could pay attention, how he lived. JC: In retrospect, or what they say in Watergate, in hindsight. It's absolutely marvelous that I should have been with him, in what must have been for him an extremely dramatic time in his life. He was fully aware that he had a large work that nobody knew anything about. And that he had something really big under his sleeve. I never knew and we refrained in the conversation like I said. He kept saying, "I simply don't understand why artists permit people to look at their work at just any distance." That struck me as being an interesting idea, which it is. But what it was was a clue to what he was actually doing. PC: But do you think the fact that that was a clue, that some people do look at his things, as a manifestation, as games and puzzles. JC: No, that is not a puzzle or a game. That is a principle that can be applied to something that's not a puzzle. He is saying for instance, why do you look at a tree from just any distance? There's nothing puzzling about that. The following oral history transcript is the result of a tape-recorded interview with John Cage on 1974 May 2 . 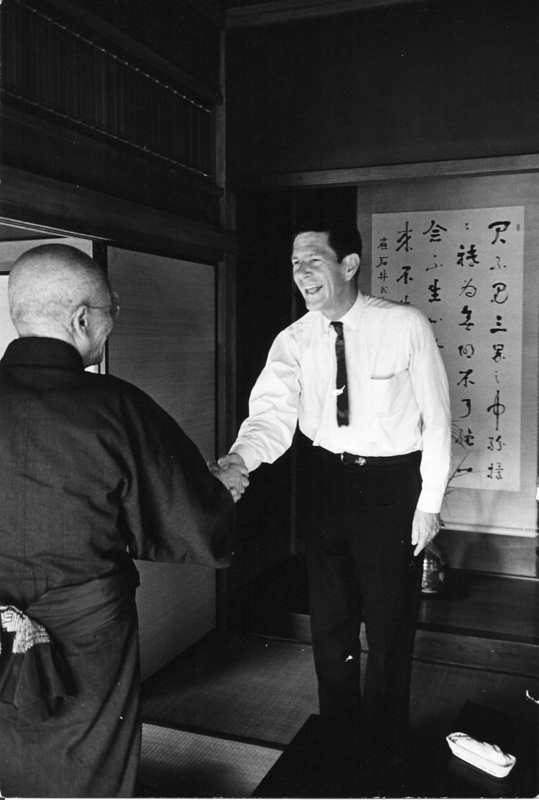 The interview was conducted in the artist's home by Paul Cummings for the Archives of American Art, Smithsonian Institution. The reader should bear in mind that he or she is reading a transcript of spoken, rather than written, prose. This is a rough transcription that may include typographical errors. 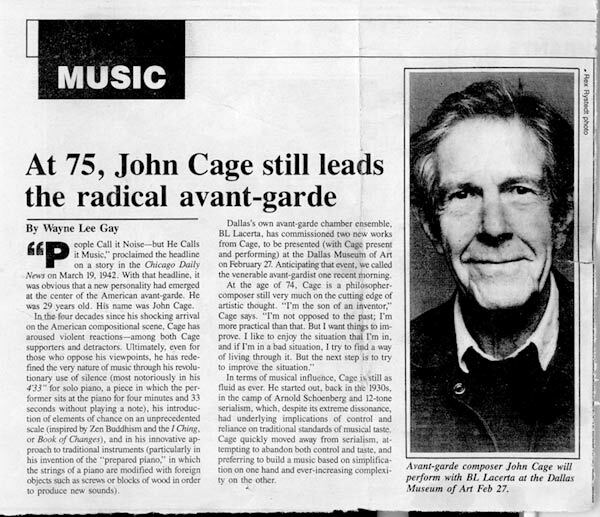 Oral history interview with John Cage, 1974 May 2, Archives of American Art, Smithsonian Institution.